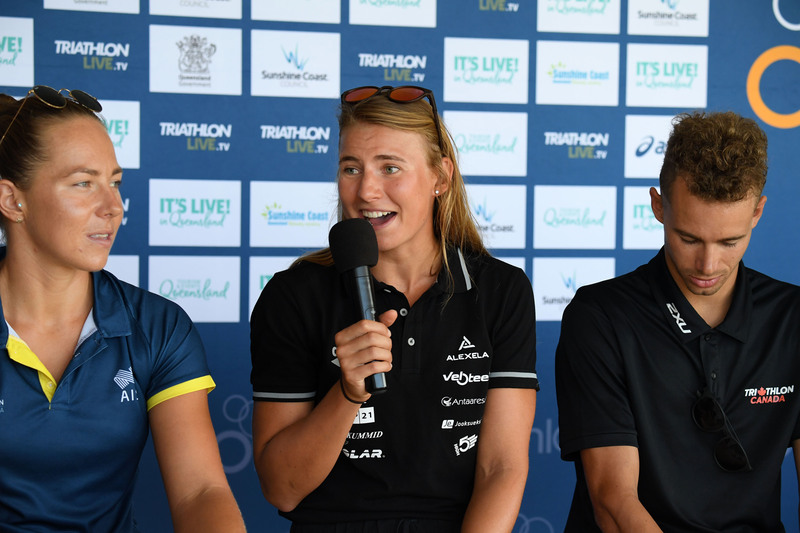 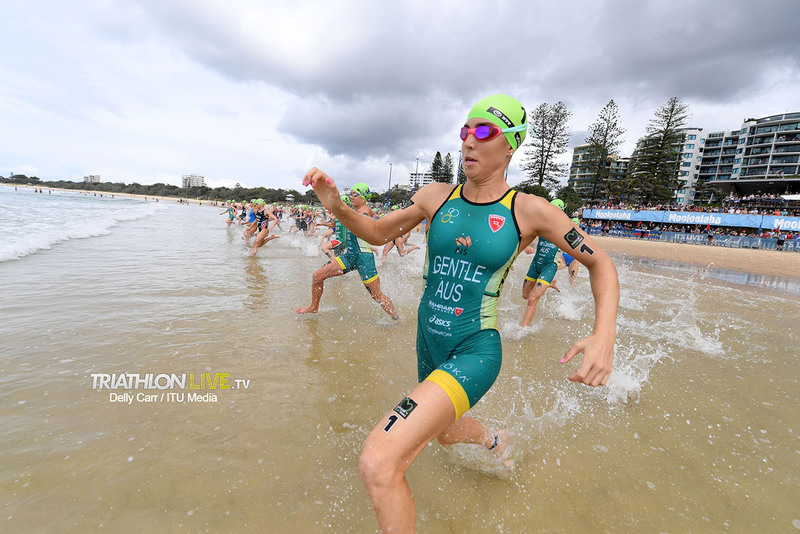 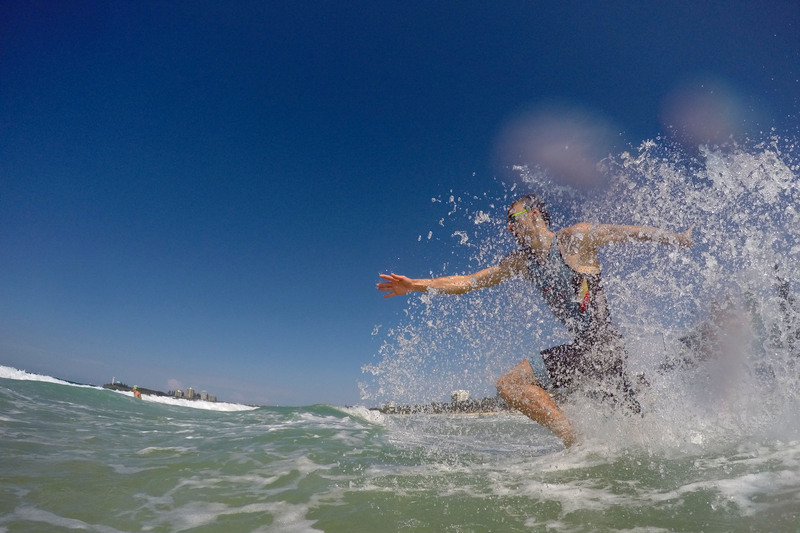 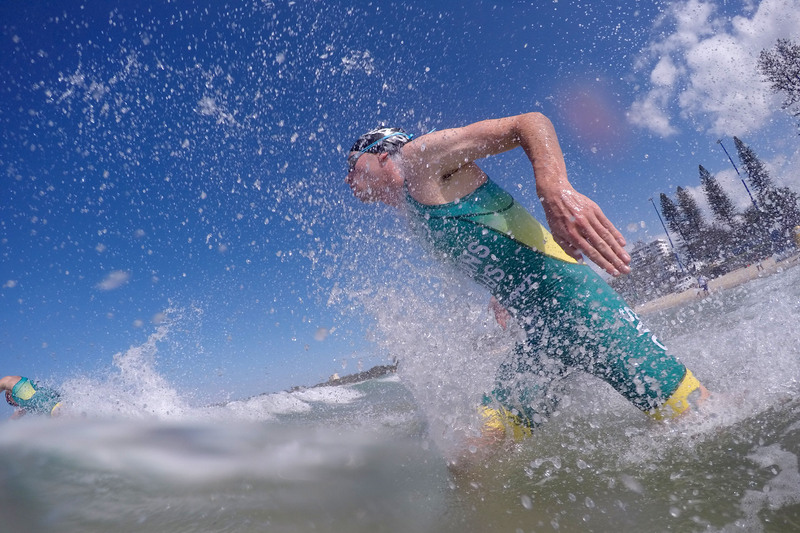 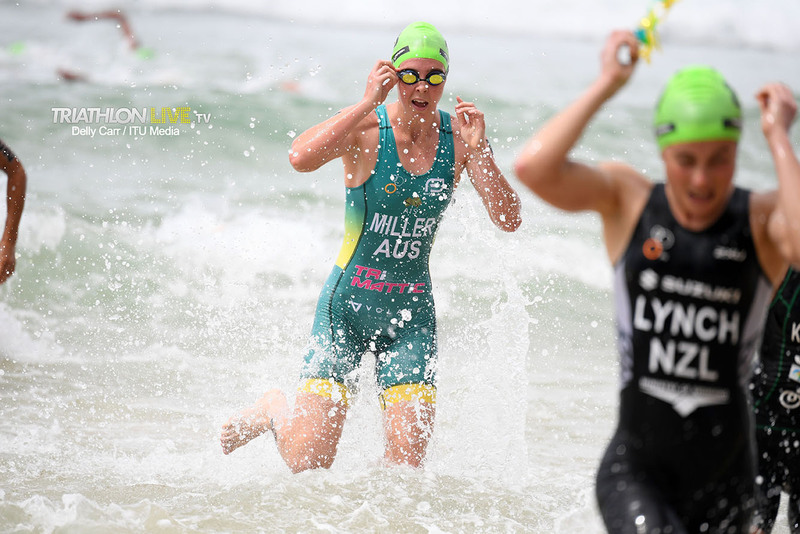 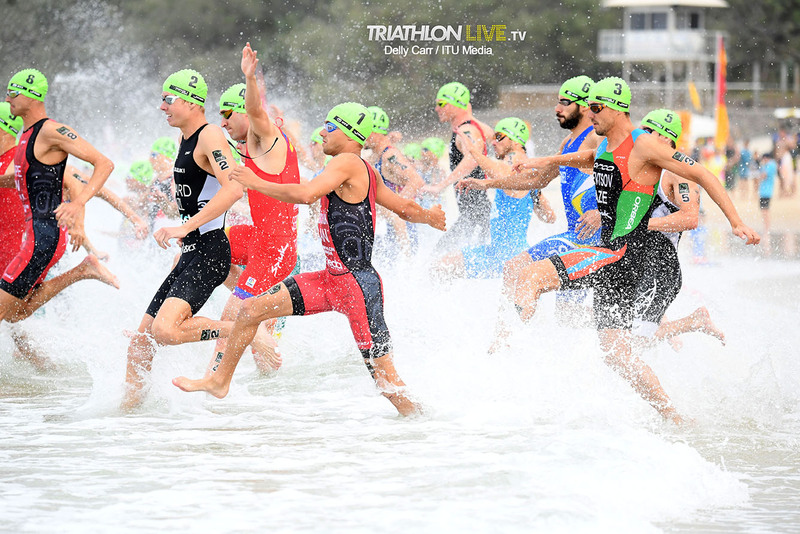 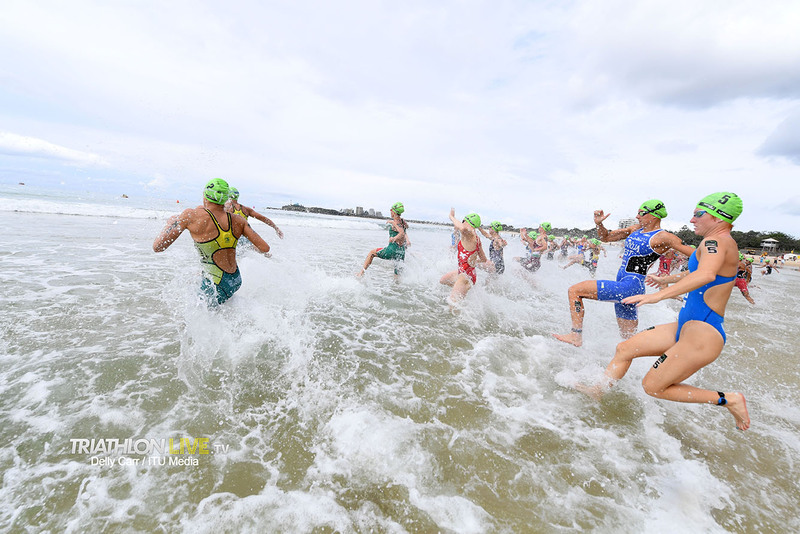 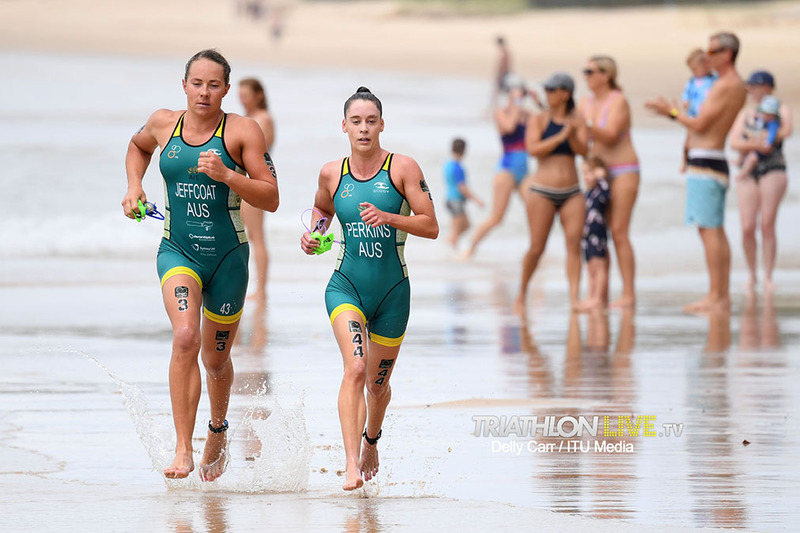 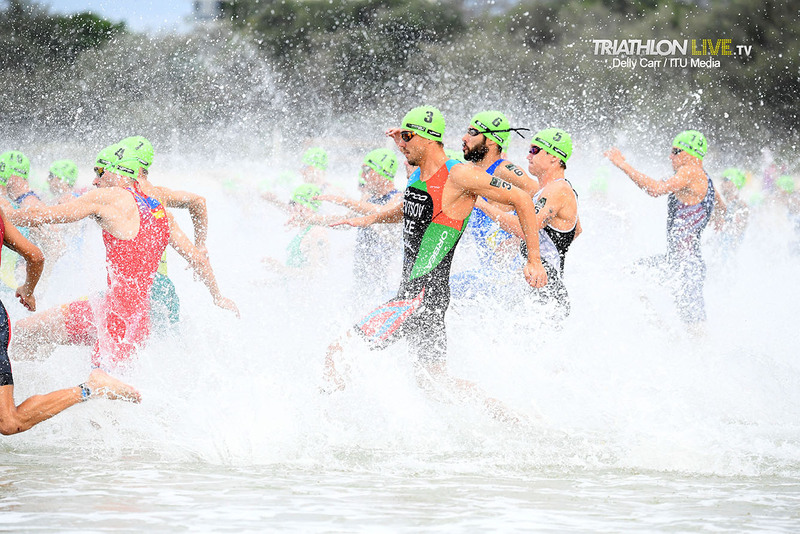 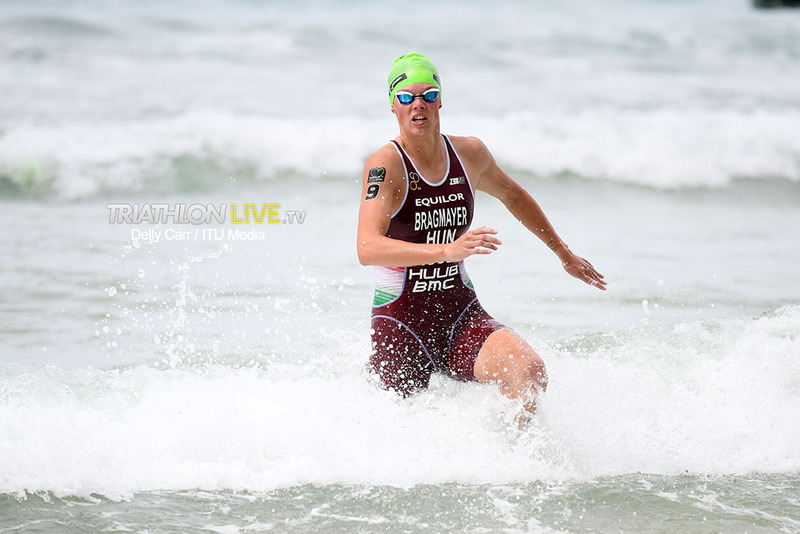 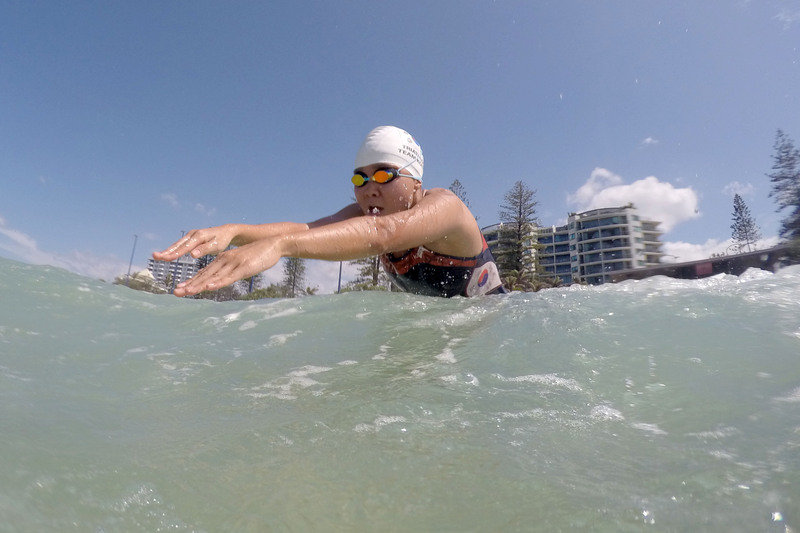 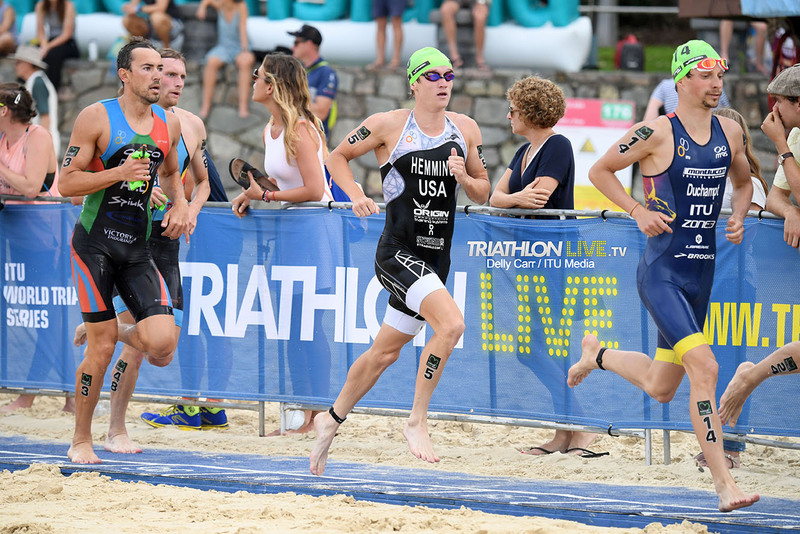 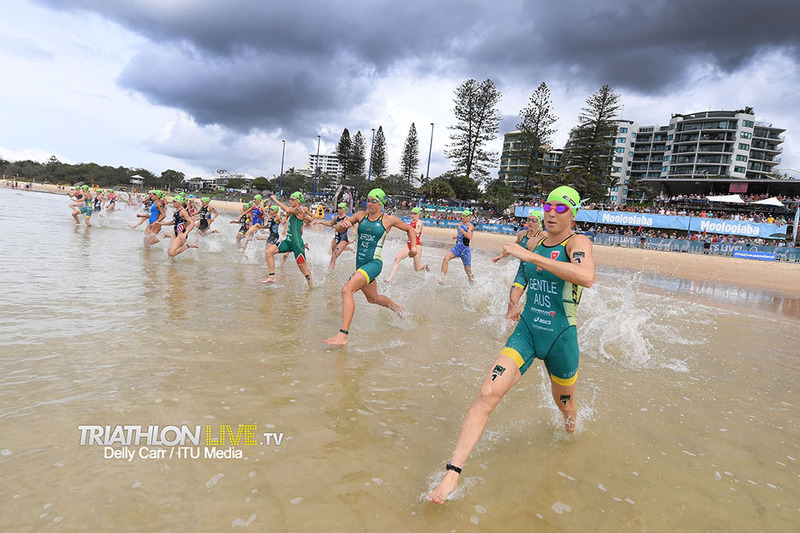 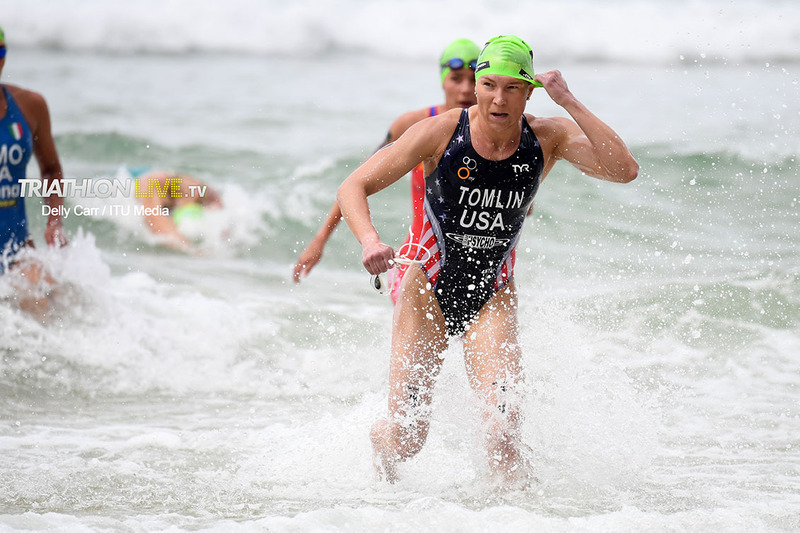 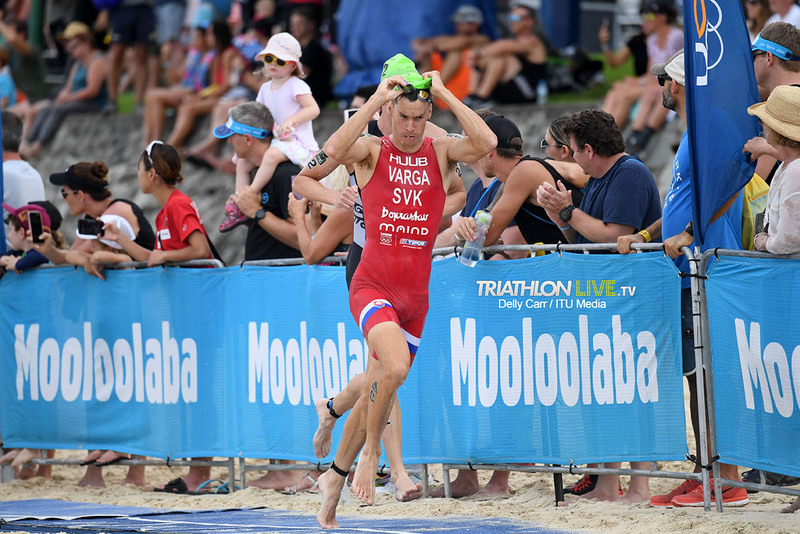 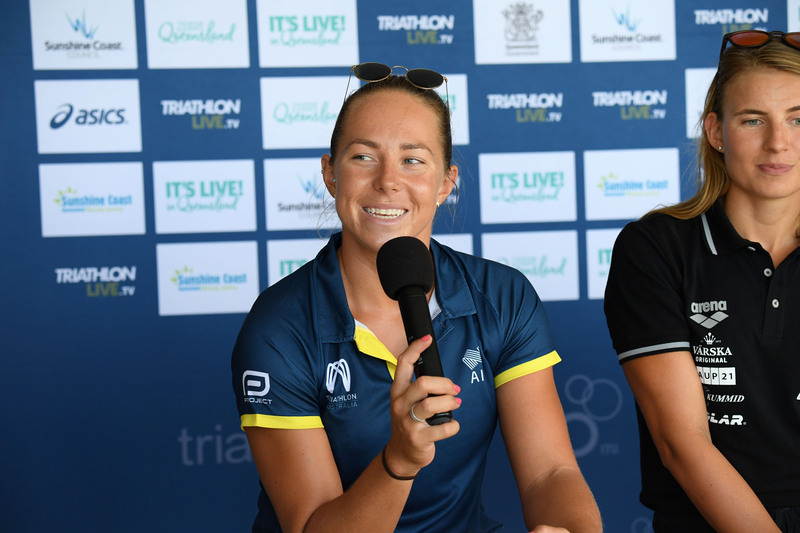 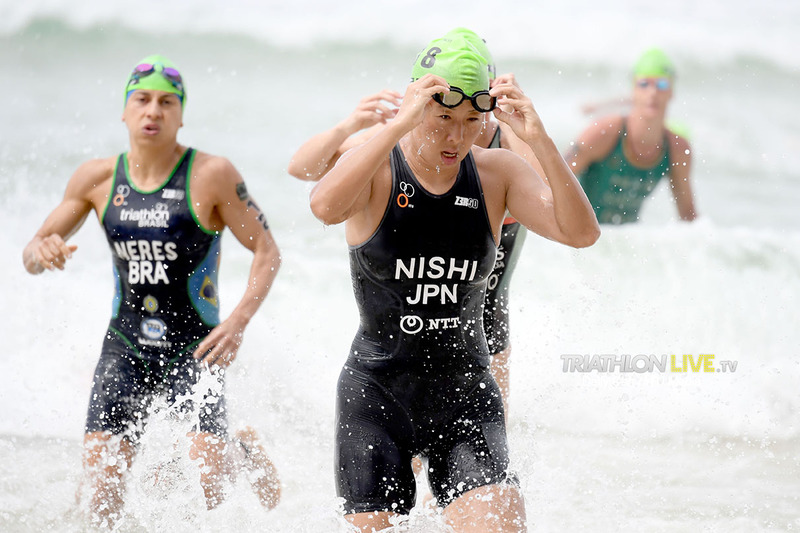 Queensland’s Mooloolaba Main beach set the scene for the start of the 2019 elite women’s Mooloolaba ITU Triathlon World Cup. 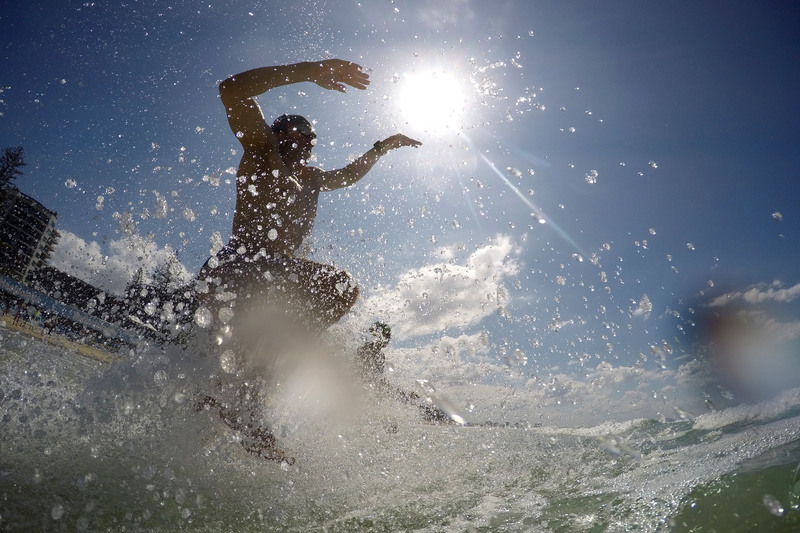 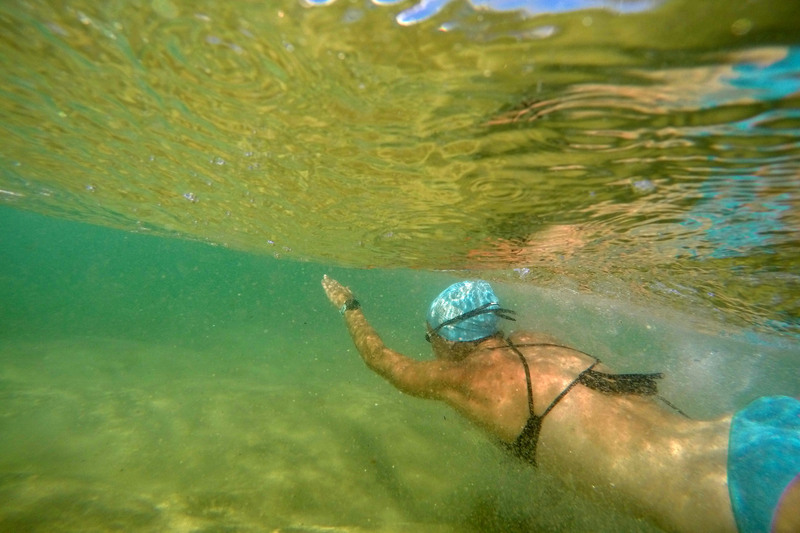 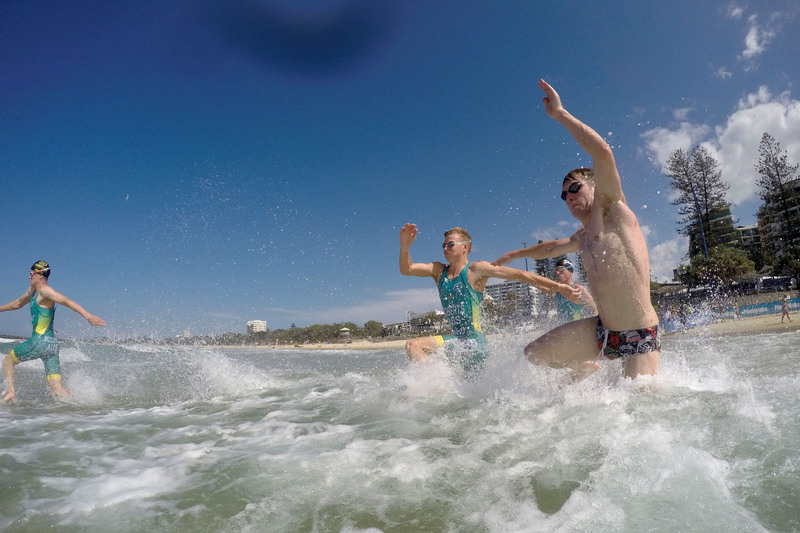 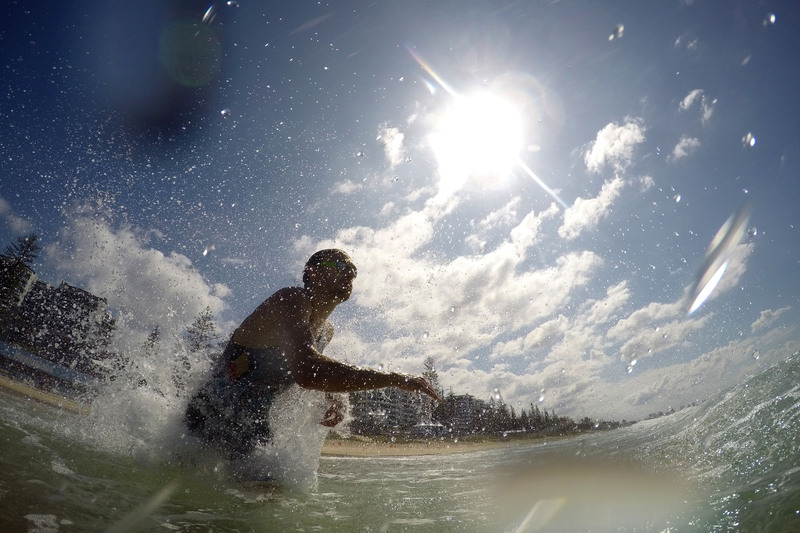 Conditions were typical for Queensland being hot and humid however the surf was not favourable for those hoping to catch a few waves back into shore. 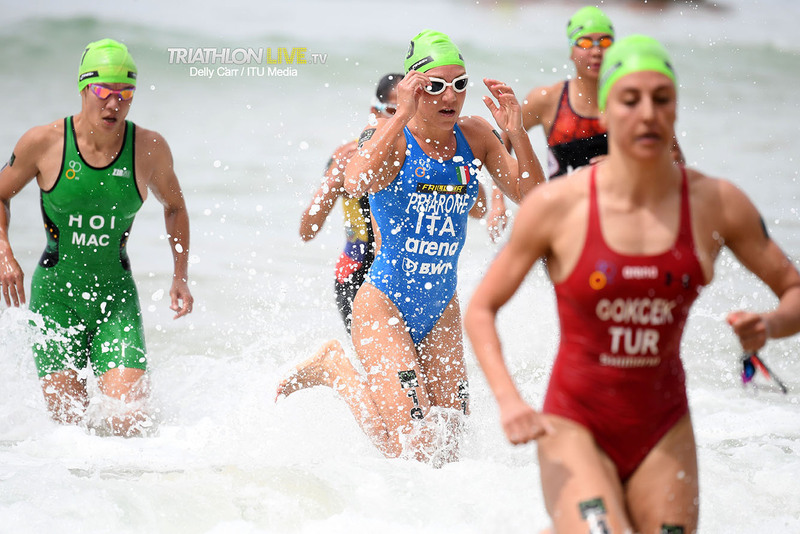 47-women lined up on the beach to attack the 750m swim, among them were Olympians, World Triathlon Series and World Cup champions. 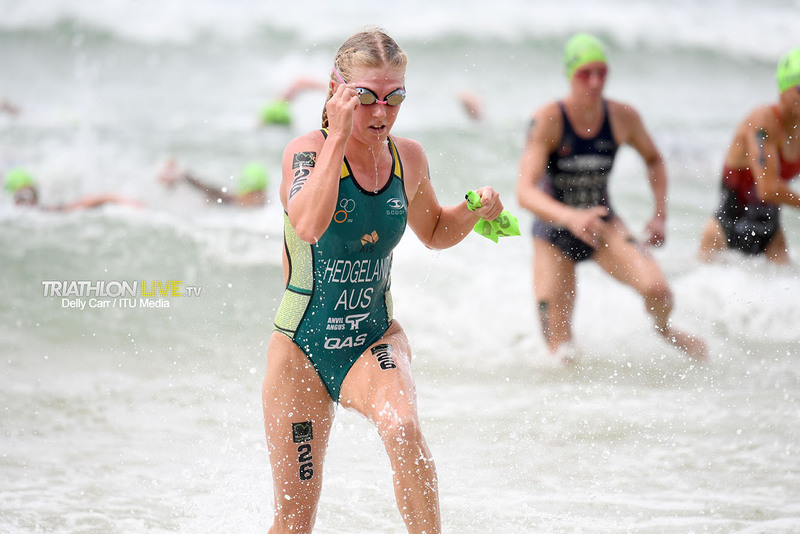 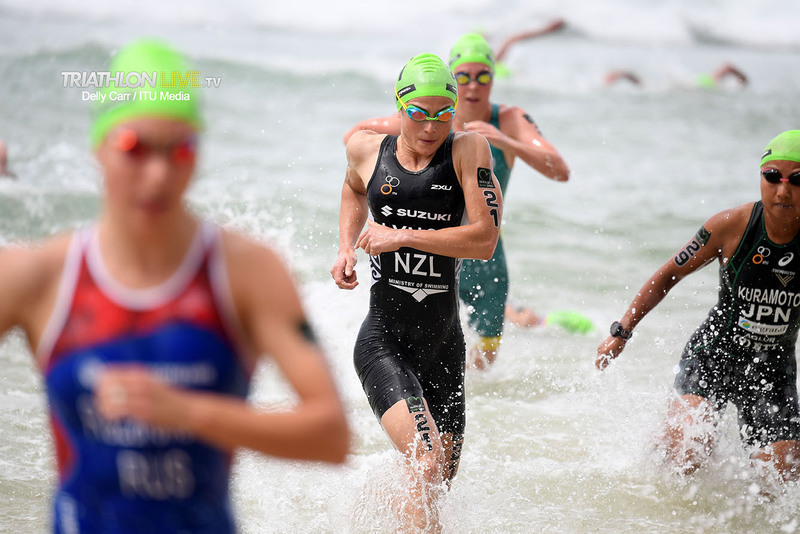 It was no surprise that Australia’s Emma Jeffcoat, who is renowned for her swim set-up coming from an Australian surf background, led the women around the buoys, back onto the beach and into the first transition of the race. 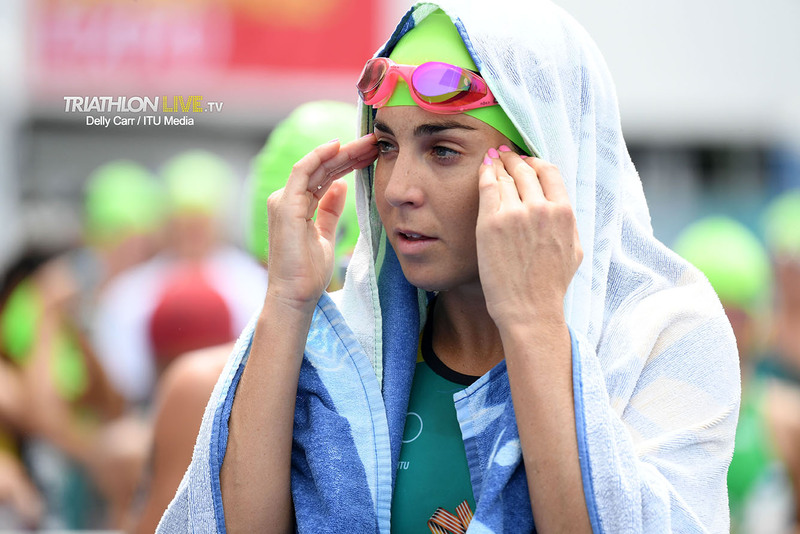 Jeffcoat was followed closely by fellow Australian team members Kelly-Ann Perkins, Natalie Van Coervorden and America’s Tamara Gorman. 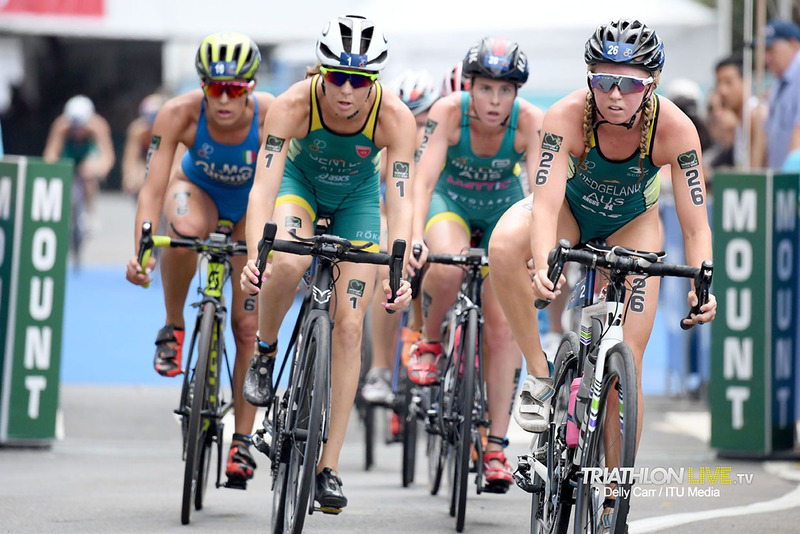 The group of women produced a quick transition and entered the bike course together. 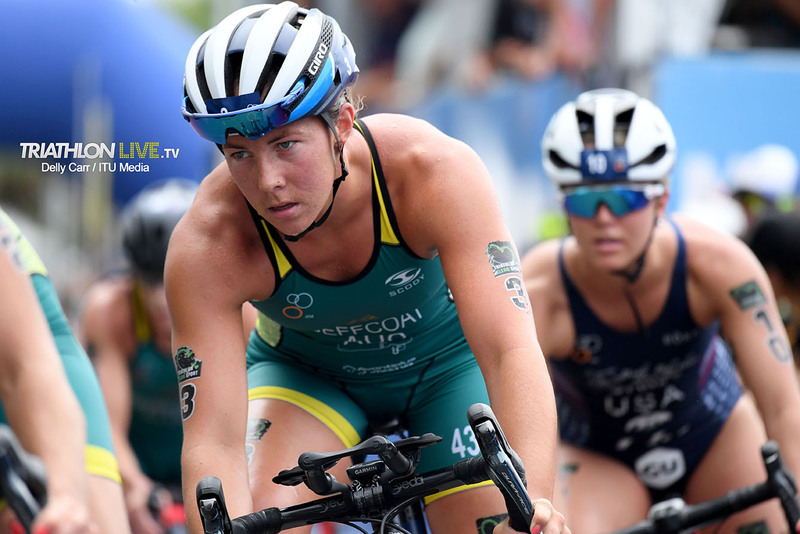 Jeffcoat, Perkins, Van Coervorden and Gorman established a 21-second lead out on lap-1 of the bike and were being chased by a cluster of women being drive by Australia’s Ashleigh Gentle. 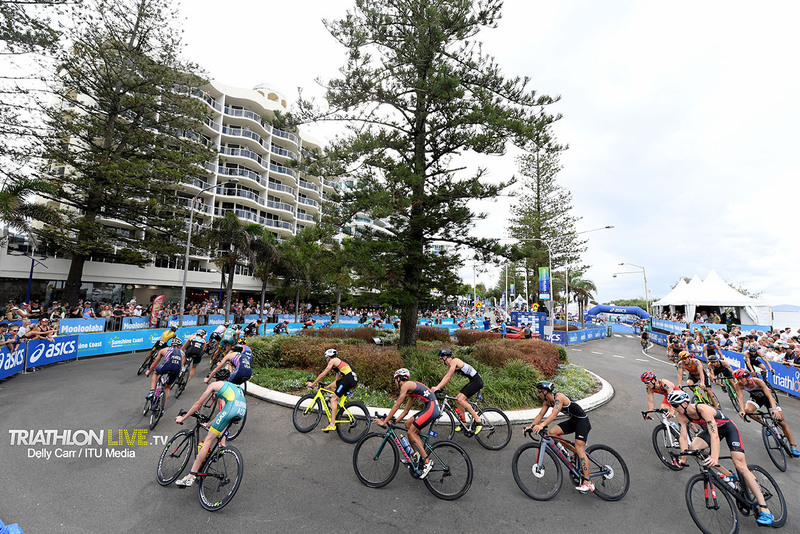 By the second lap of the somewhat technical bike course the two front groups formed together and now included all the big names and race contenders. 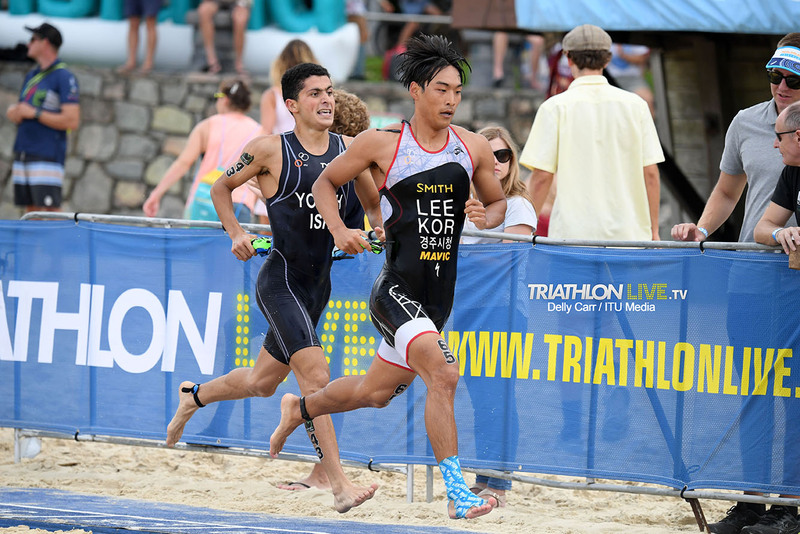 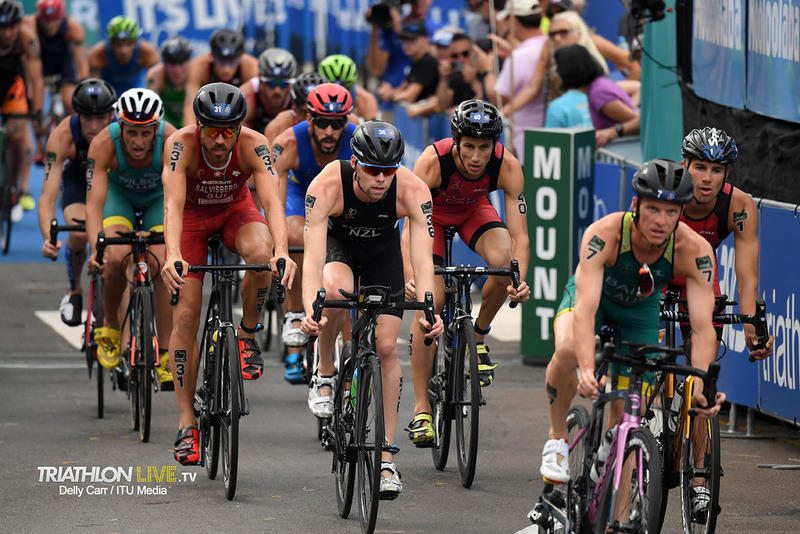 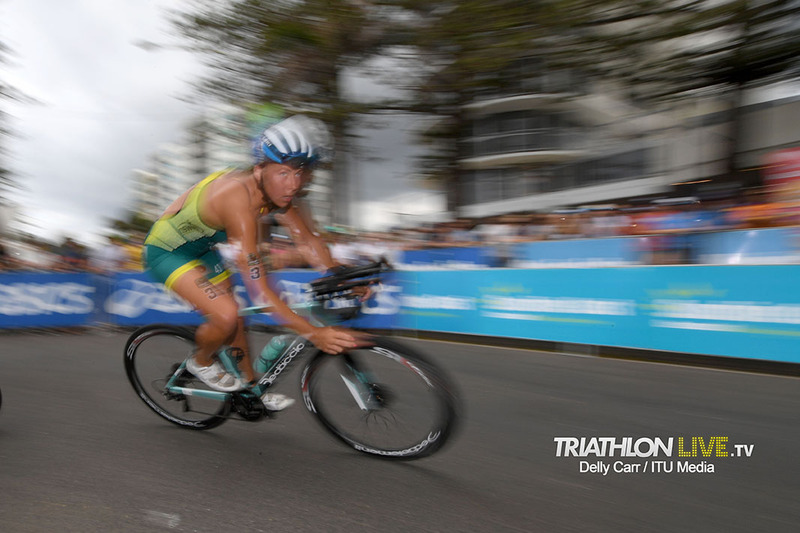 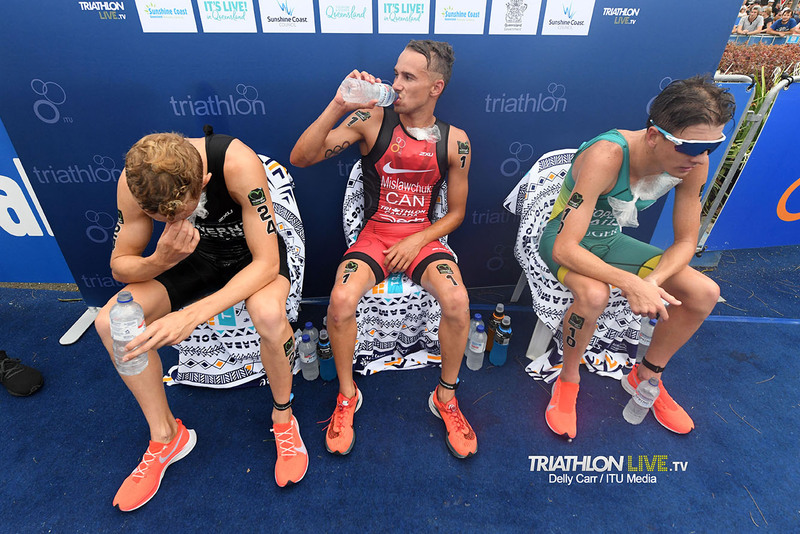 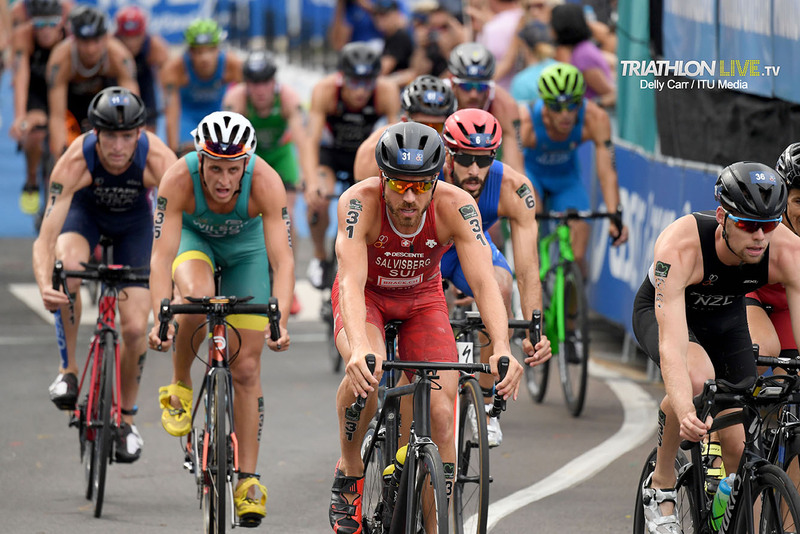 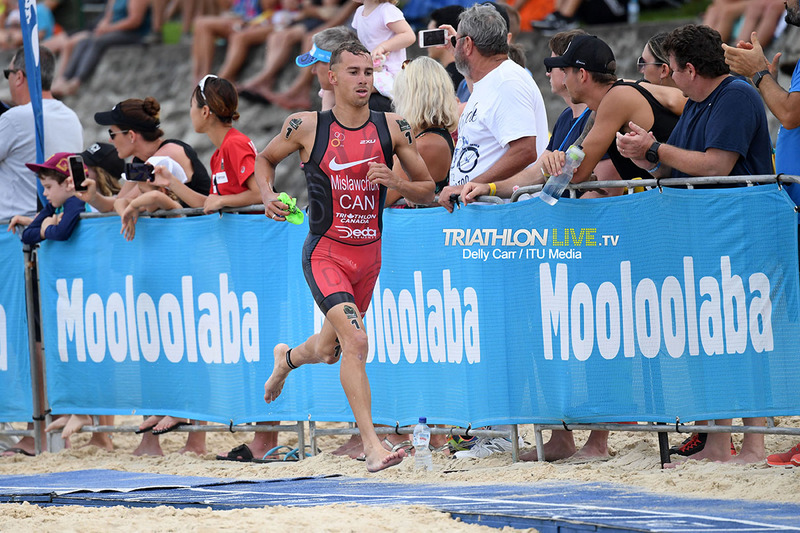 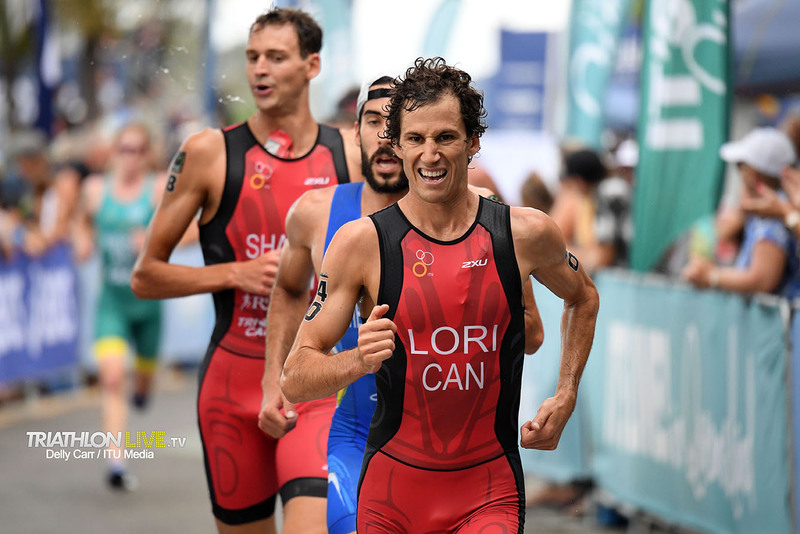 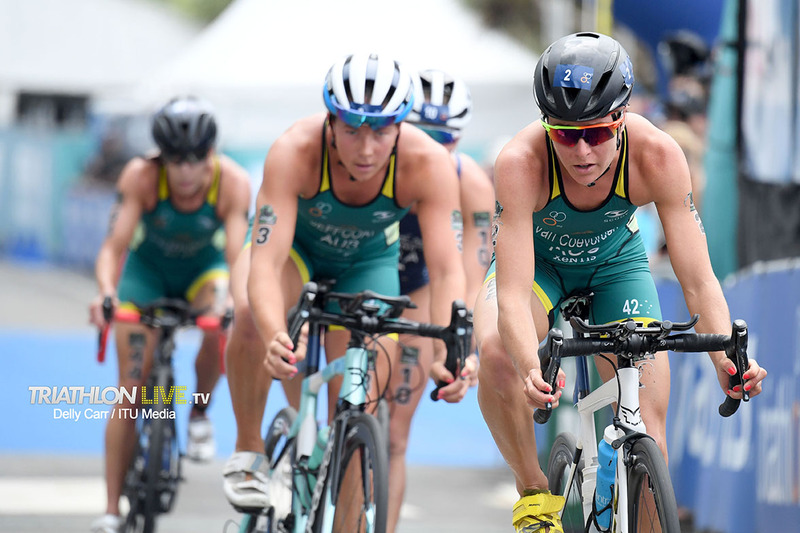 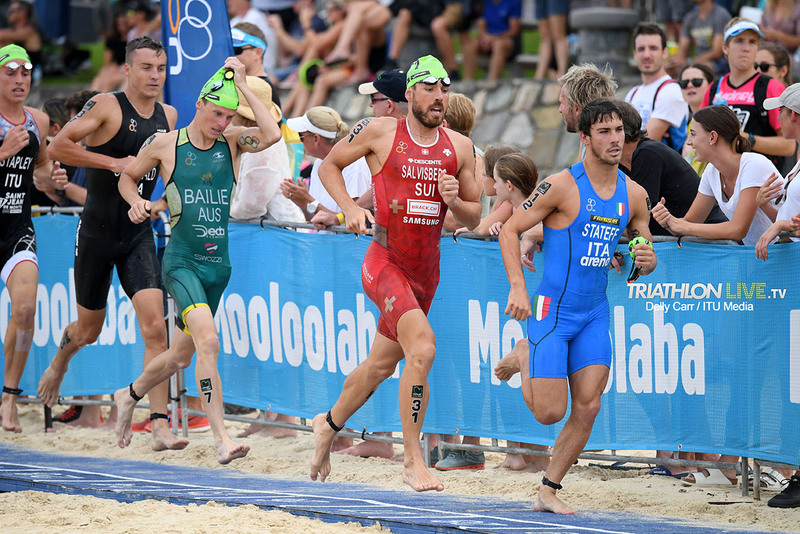 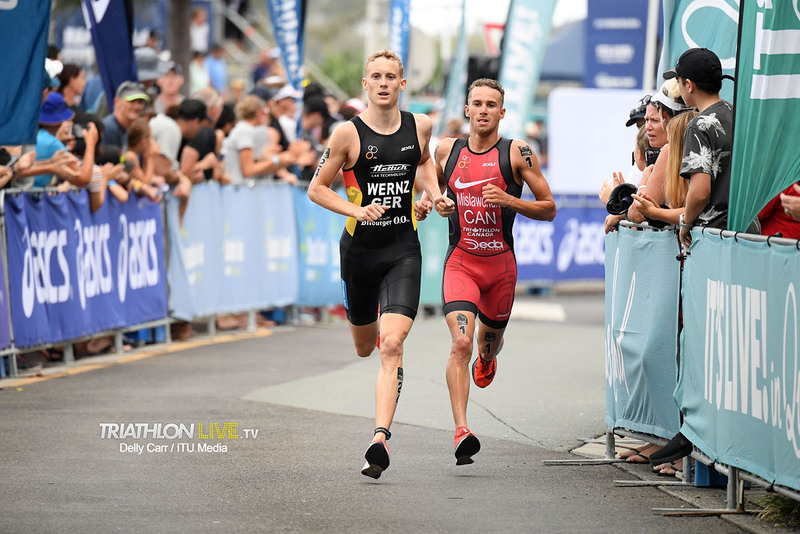 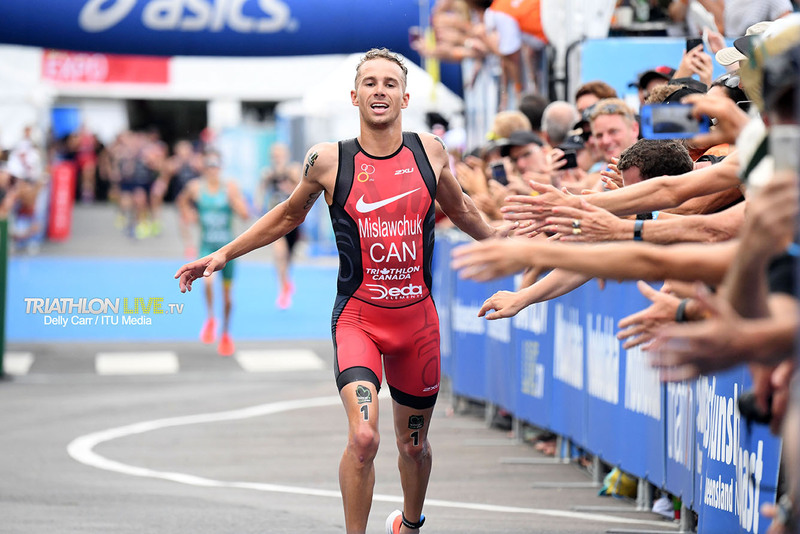 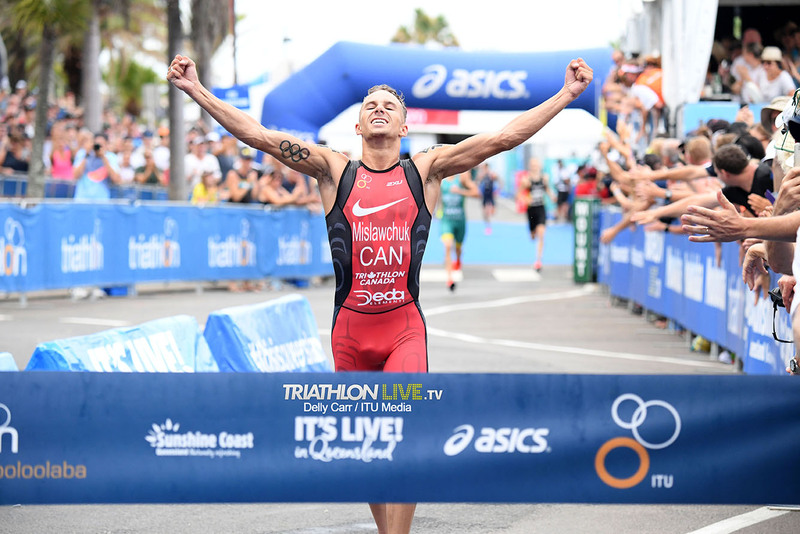 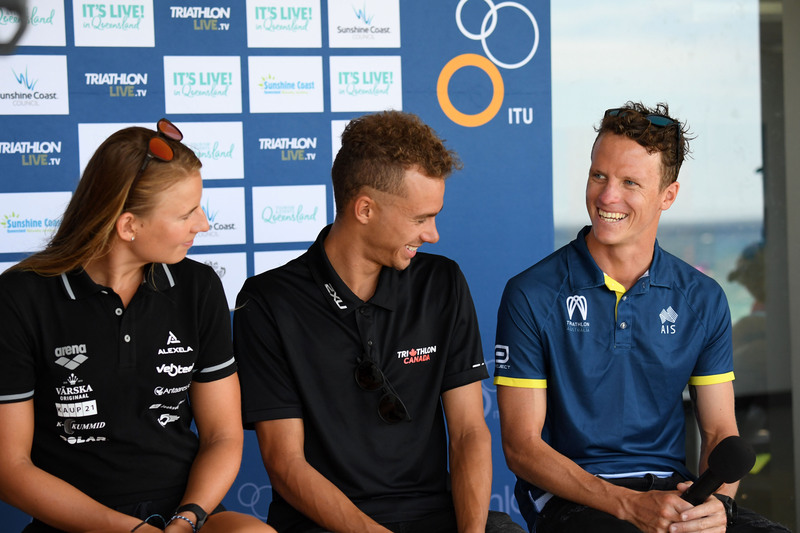 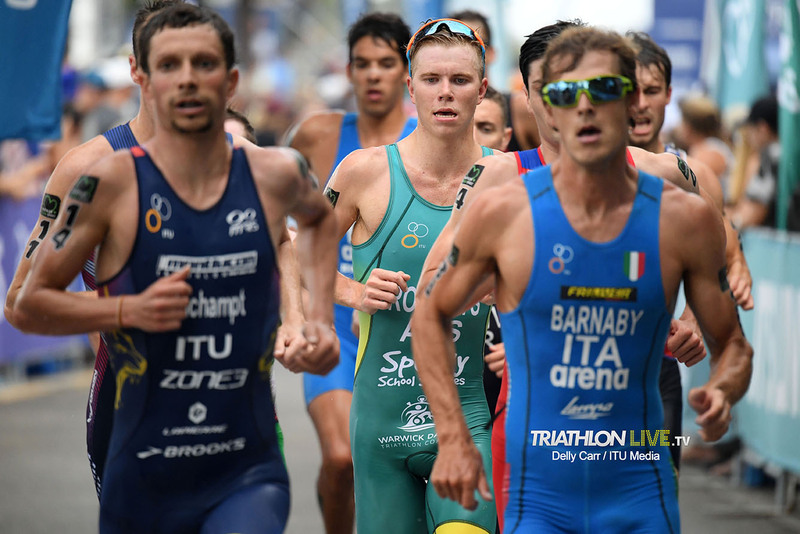 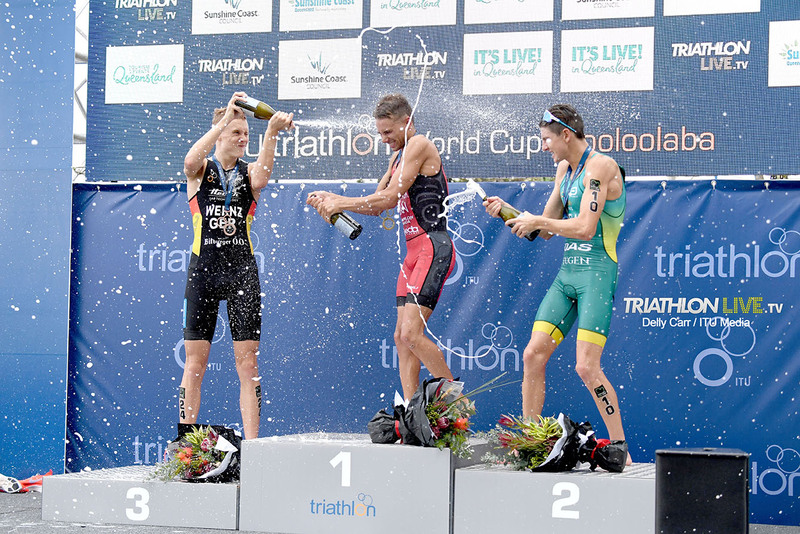 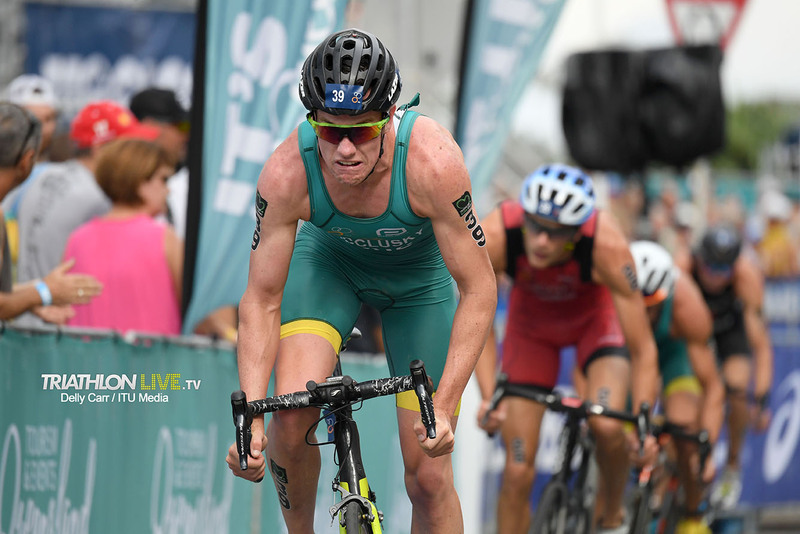 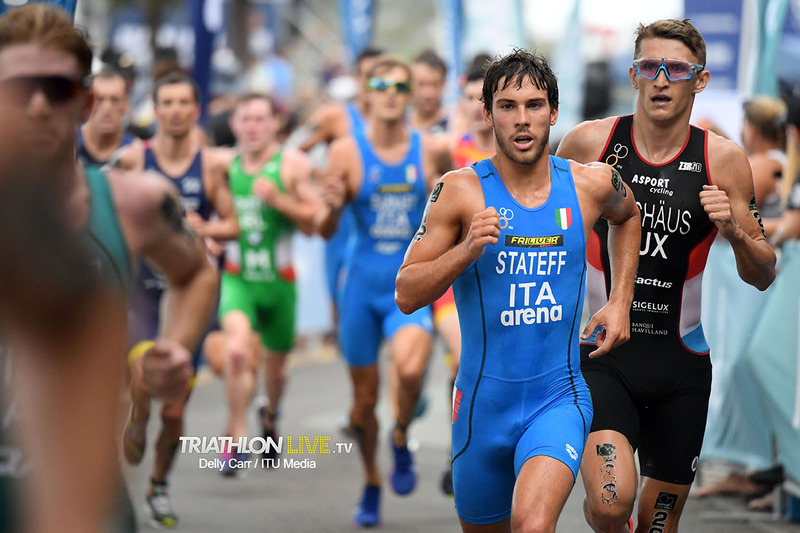 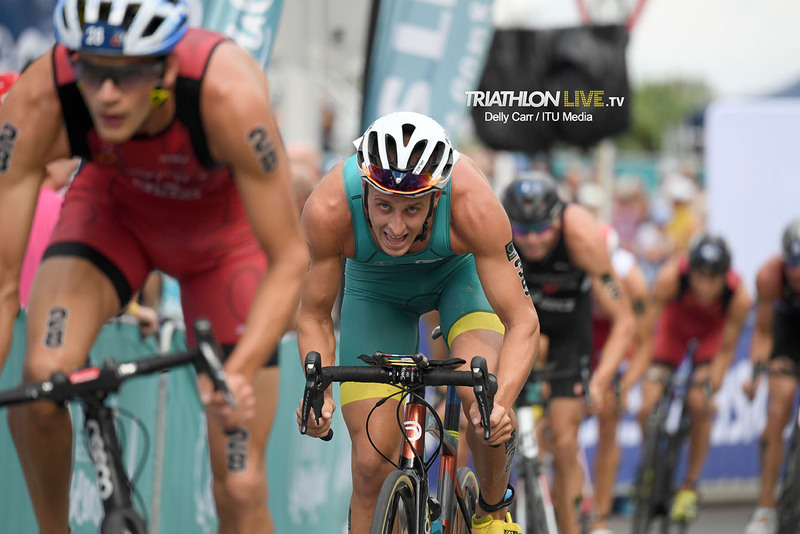 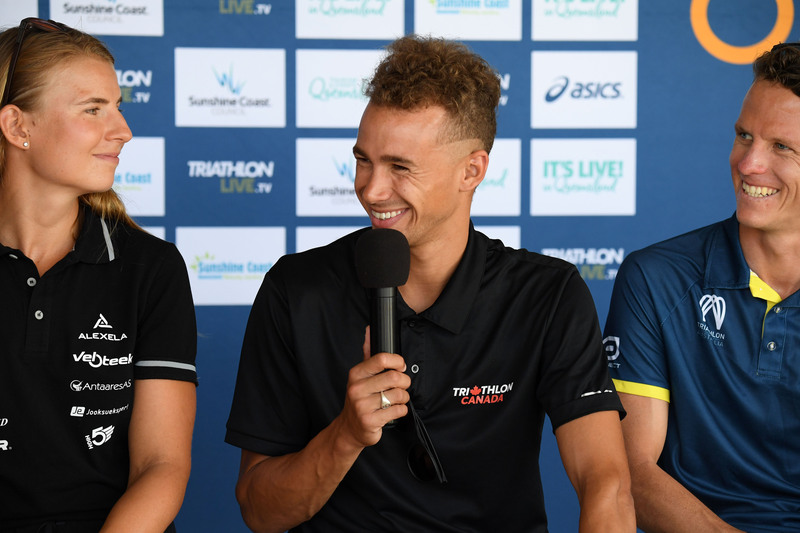 By the final lap of the bike course in Mooloolaba it was obvious that this World Cup battle was going to come down to a blazing running race. 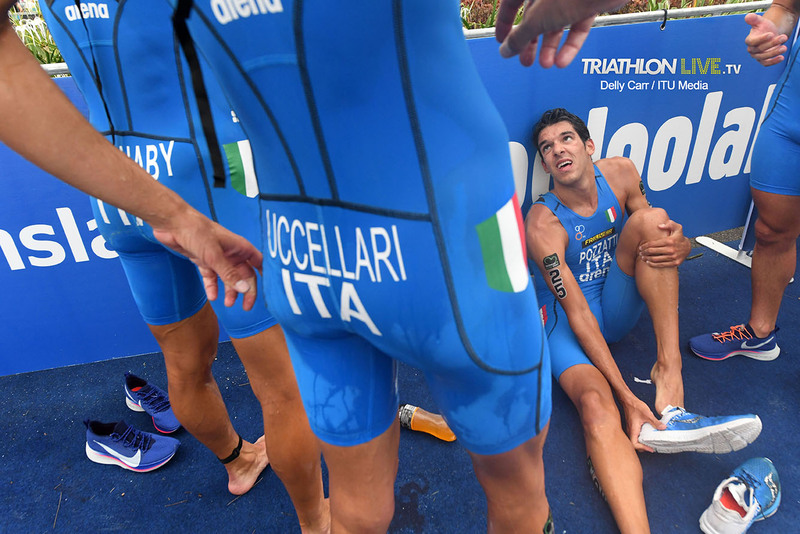 The question still remained as to who had the power and run legs to bring the race home and take the tape. 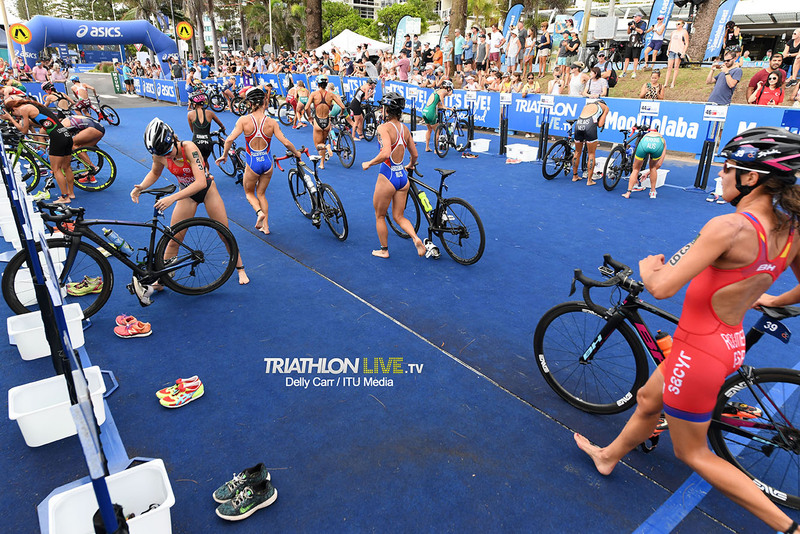 Tactics were crucial for the second transition, as the frenzy of elite women headed out to attack the hilly 5km run course of Mooloolaba. 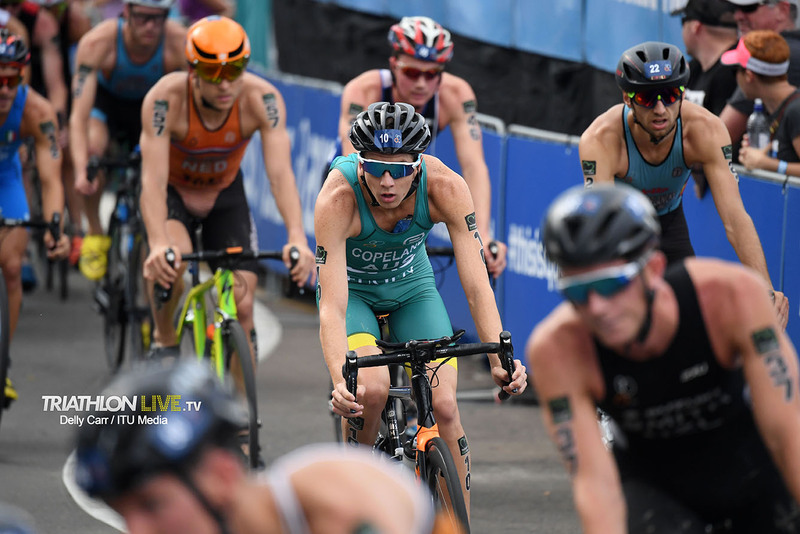 With podium places still up for the taking, it was Australia’s Van Coervorden, who produced a firing transition to take an early lead, for the run portion. 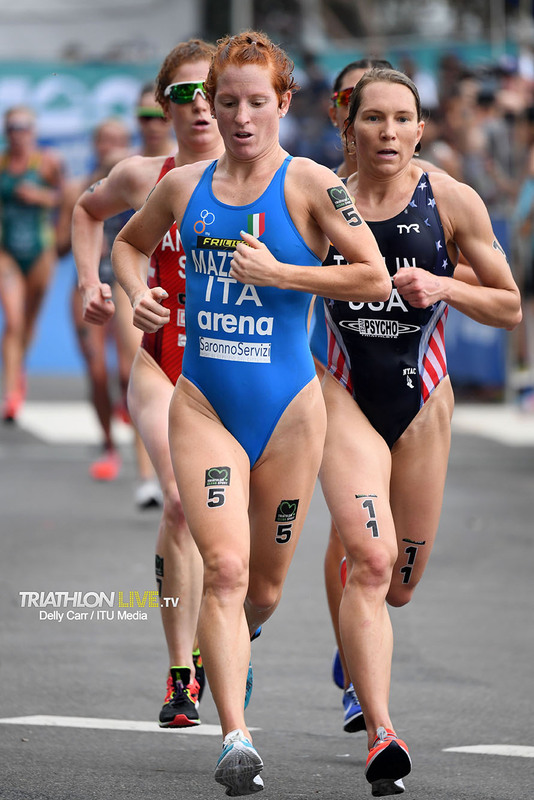 Moments later and still in the early stage of the run, Gentle, the top seeded female leading into today’s race, made a comfortable move to take control of the race. 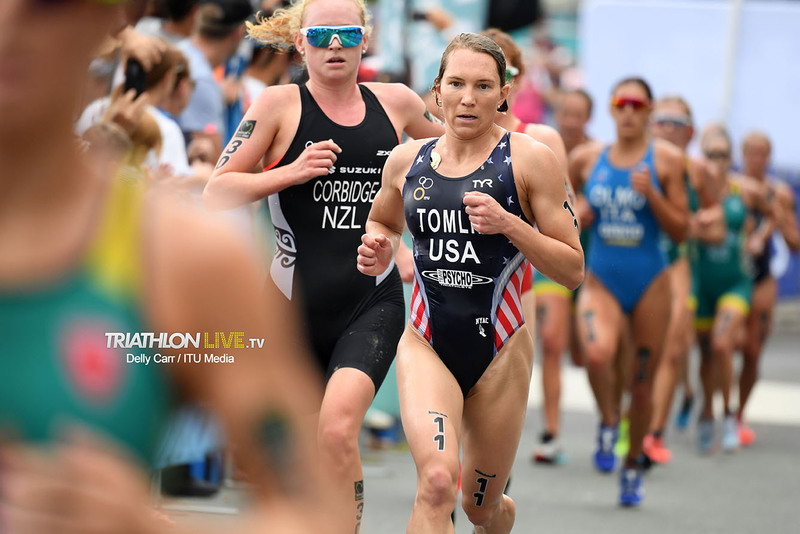 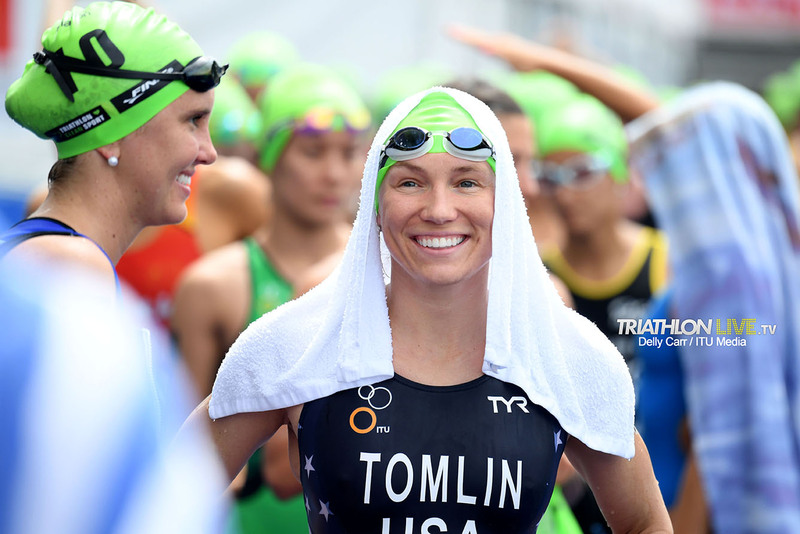 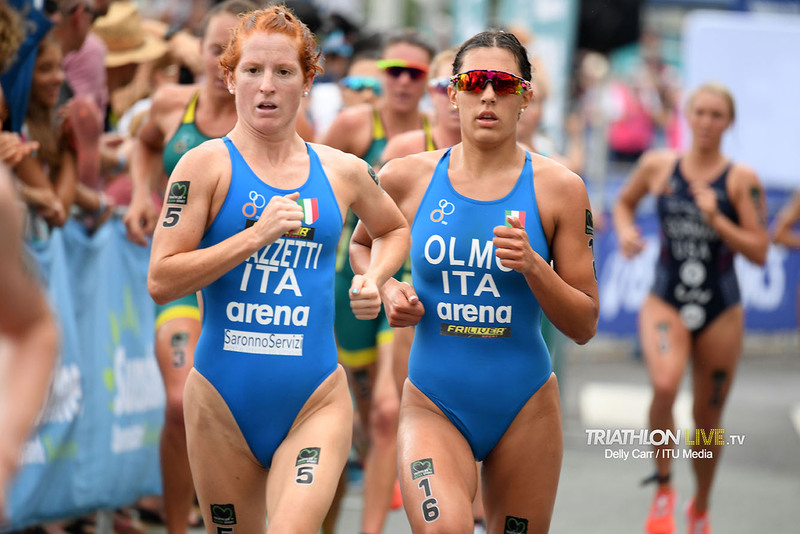 A strong field of elite women were hot on the Australian’s heels, including America’s Renee Tomlin and Italy’s Angelica Olmo. 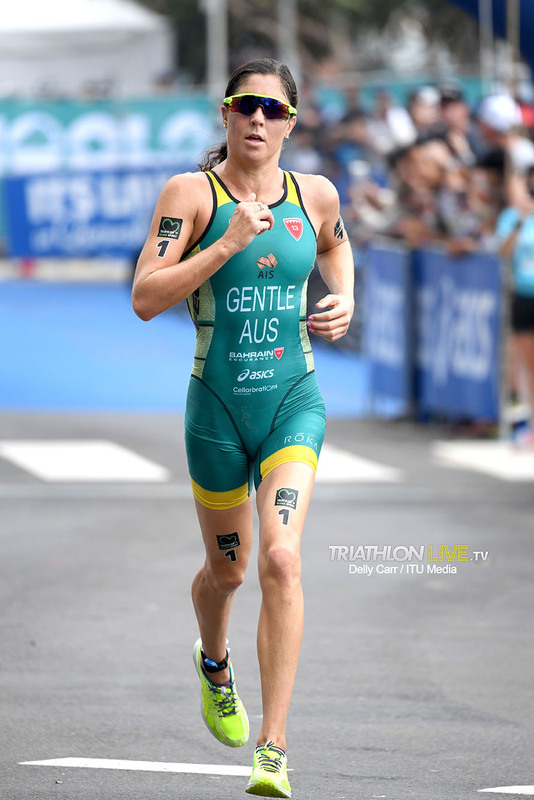 By the final lap of the run, it was evident that this was Gentle’s race. 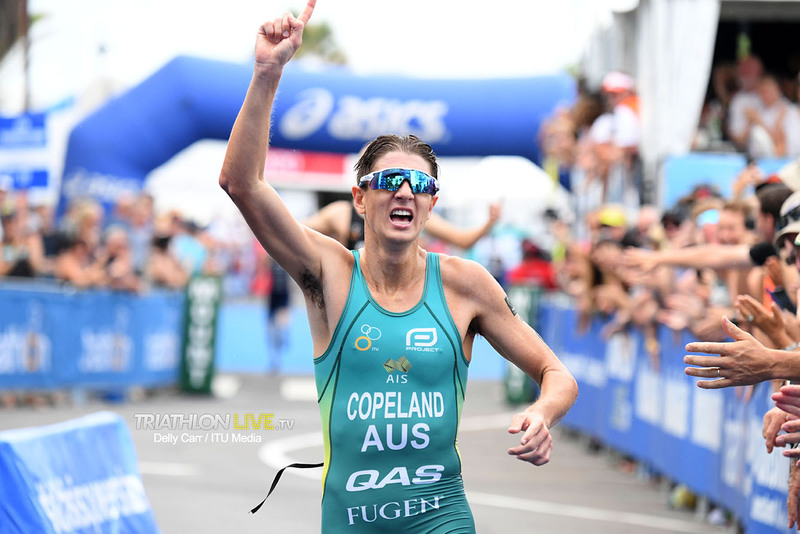 The Australian was able to extend her lead to cross the finish line and be awarded the gold medal. 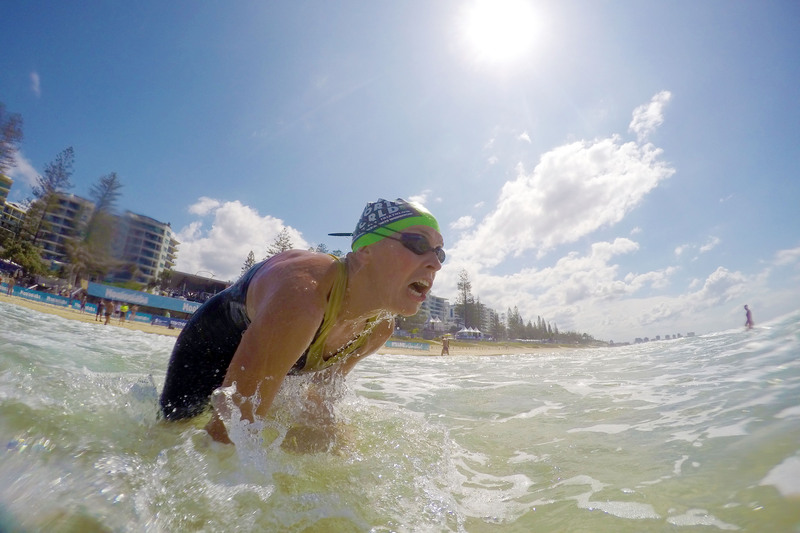 2019 marked a maiden win in Mooloolaba for Gentle who was elated with her race performance today. 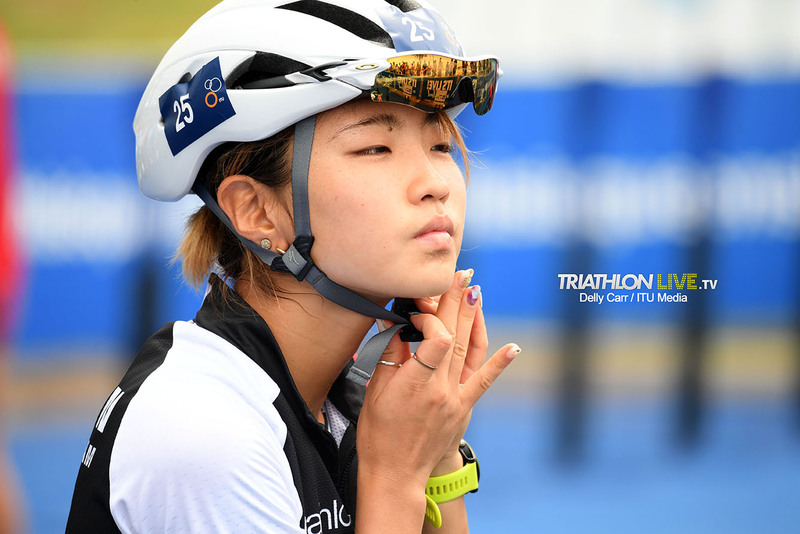 “It was really tough. 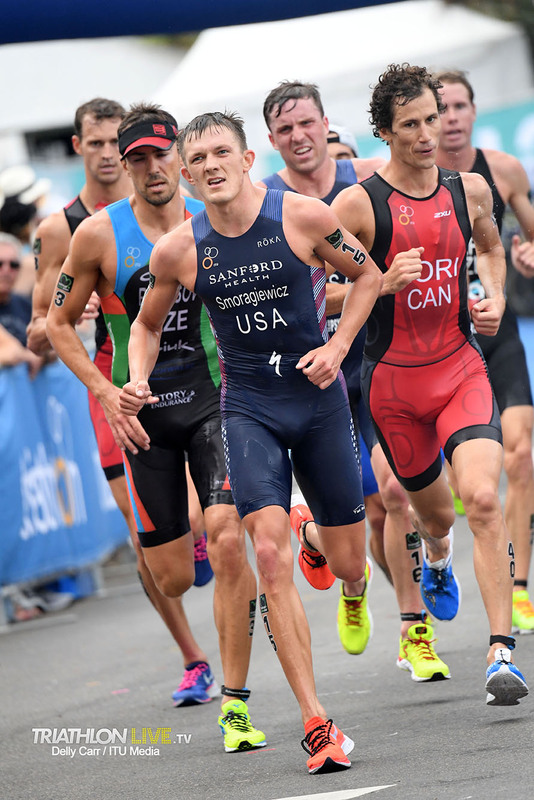 I knew it was going to be a big ask to back up after Abu Dhabi last weekend. 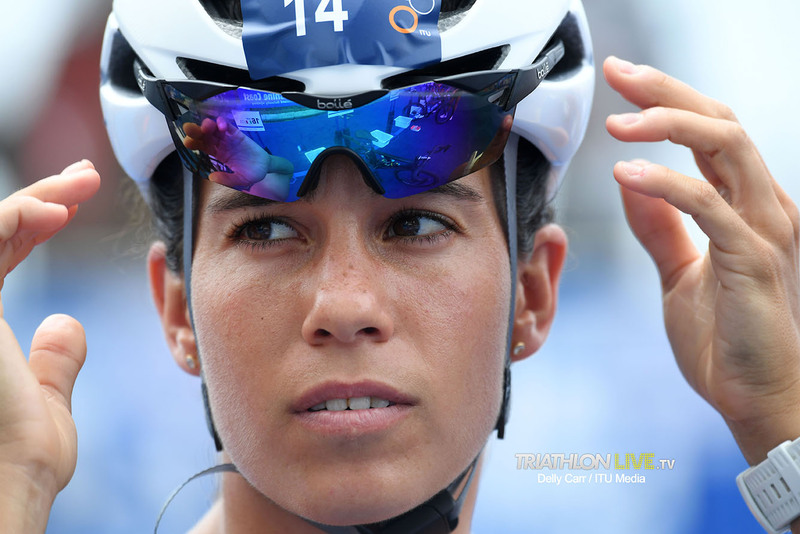 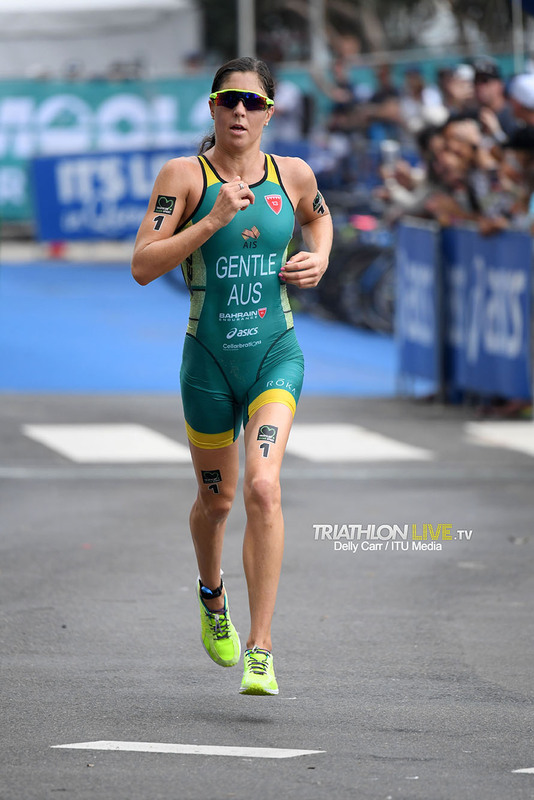 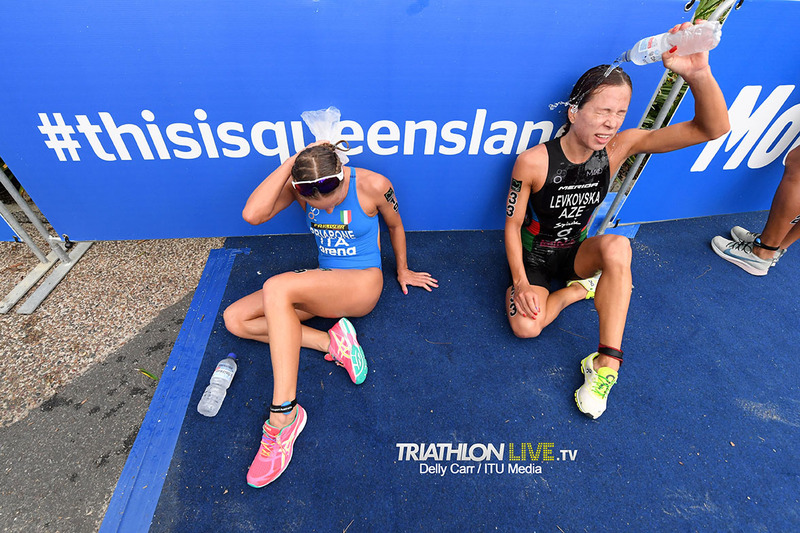 I am really happy and a little bit surprised to be honest”, she said..
“Racing at home here in Queensland was really special to me today and I am really grateful for the support I get from my fellow Queenslanders so I really wanted to come back and race on home soil. 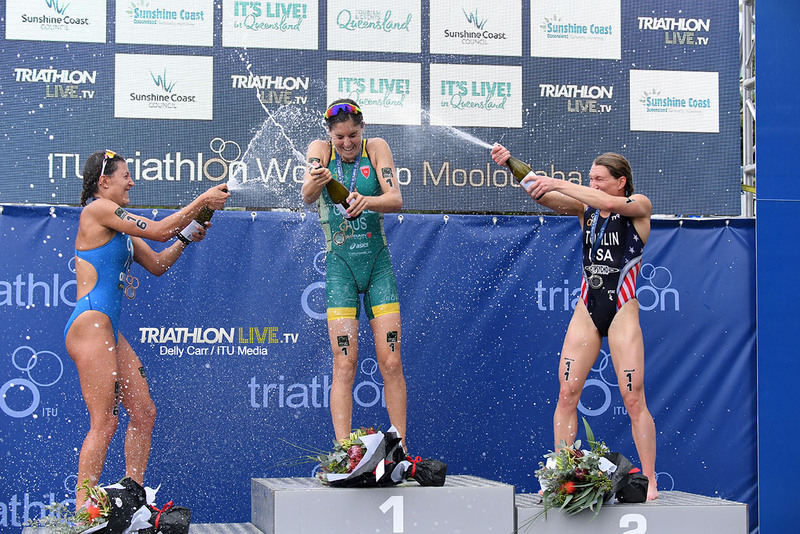 Seeing some familiar faces here in Queensland today reminded me of why I started triathlon. 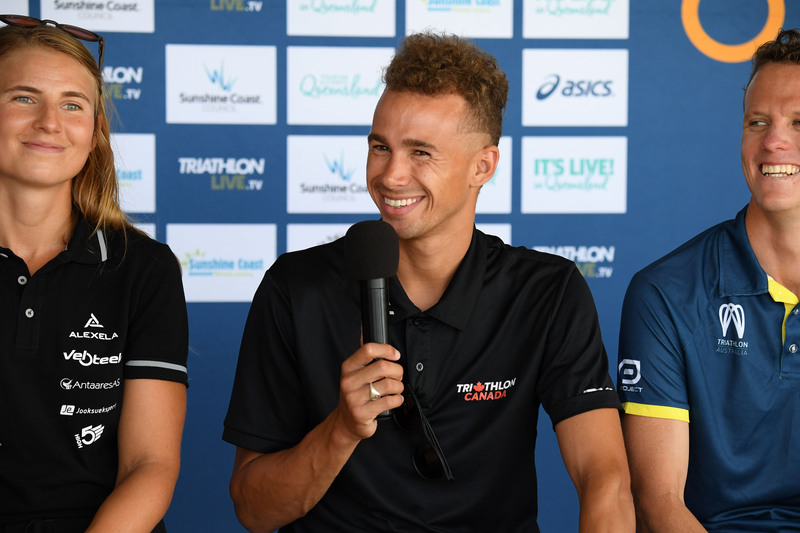 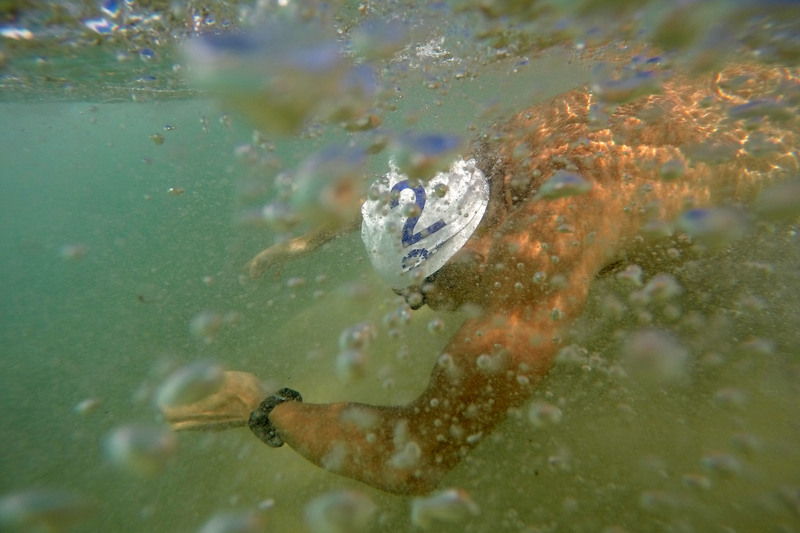 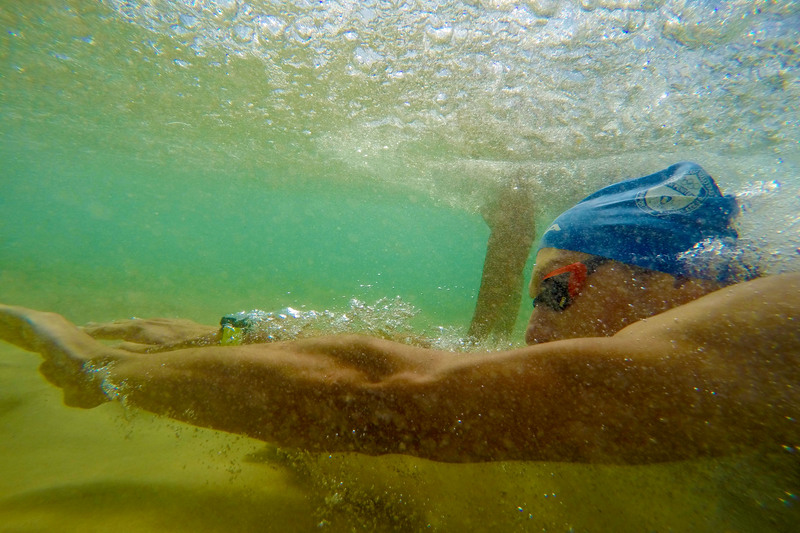 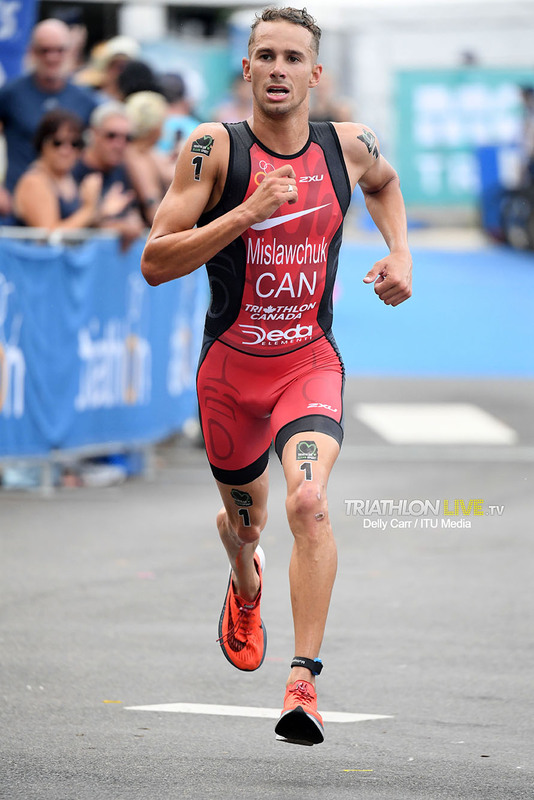 I will do a training camp now in Perisher, Australia, before going over to America and then race the next World Triathlon Series race in Bermuda,” said Gentle. 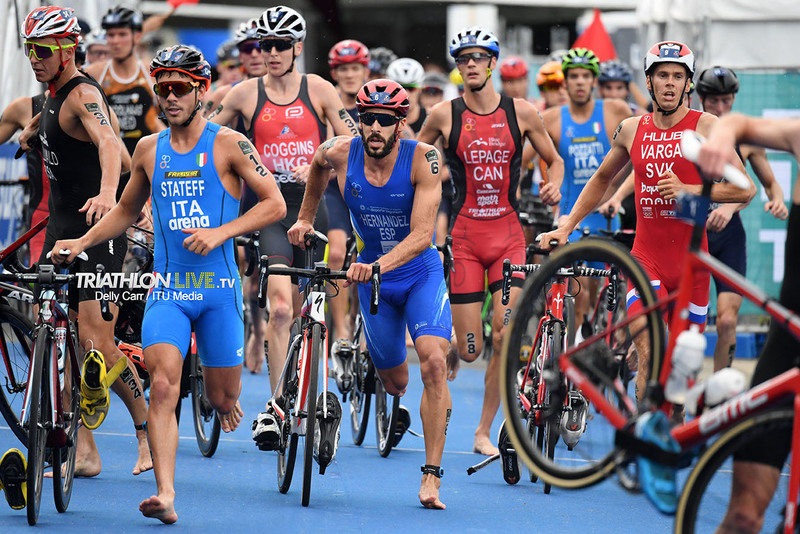 Only six-seconds behind Gentle, Tomlin claimed the silver medal for America and Olmo, who took home a bronze medal in 2018, crossed the finish line in third place representing Italy on the podium. 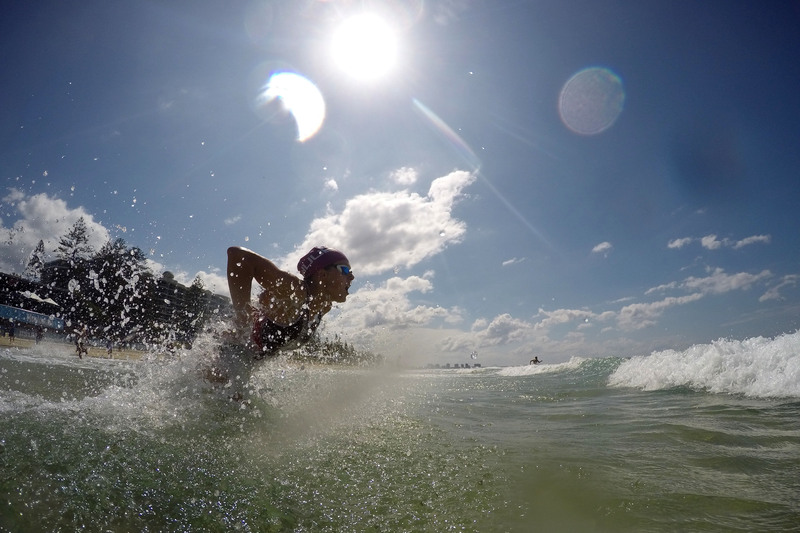 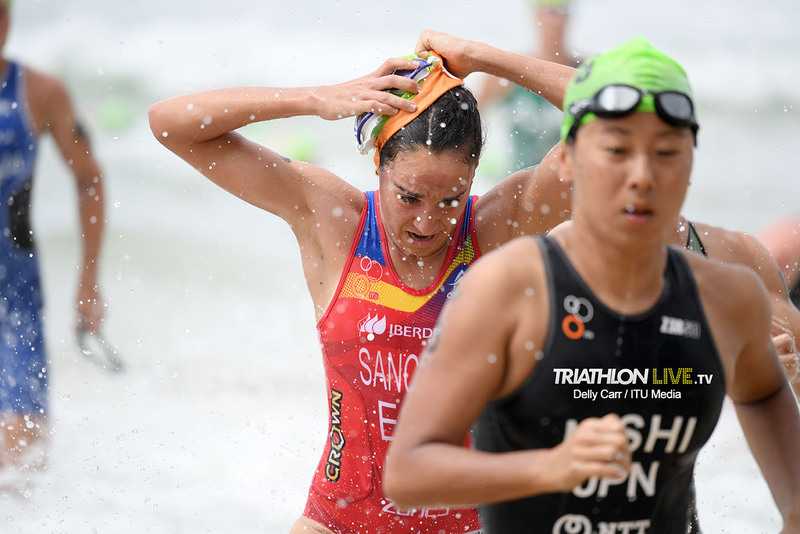 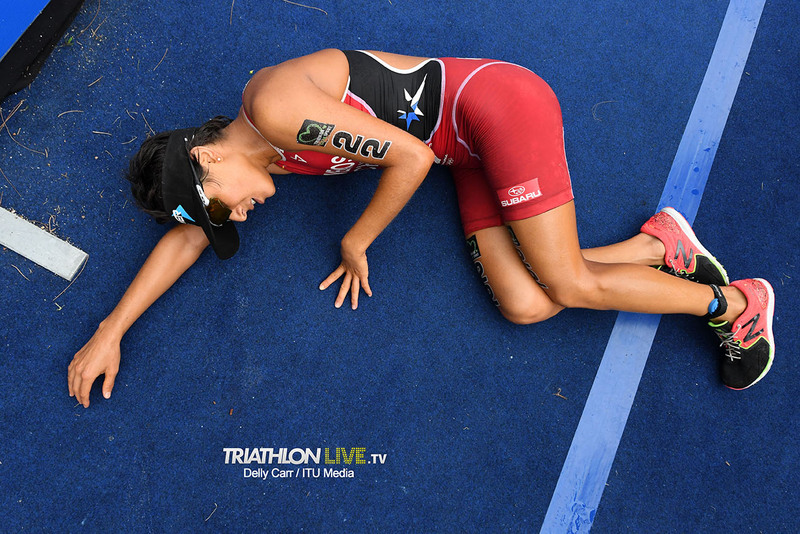 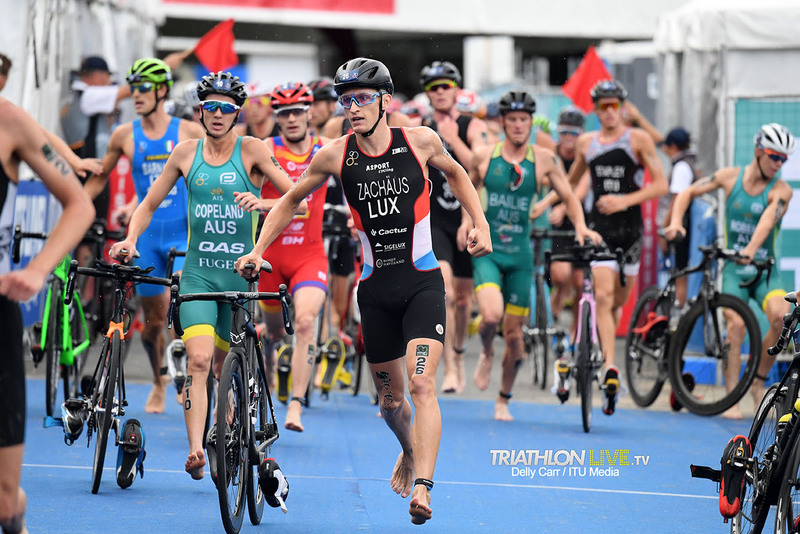 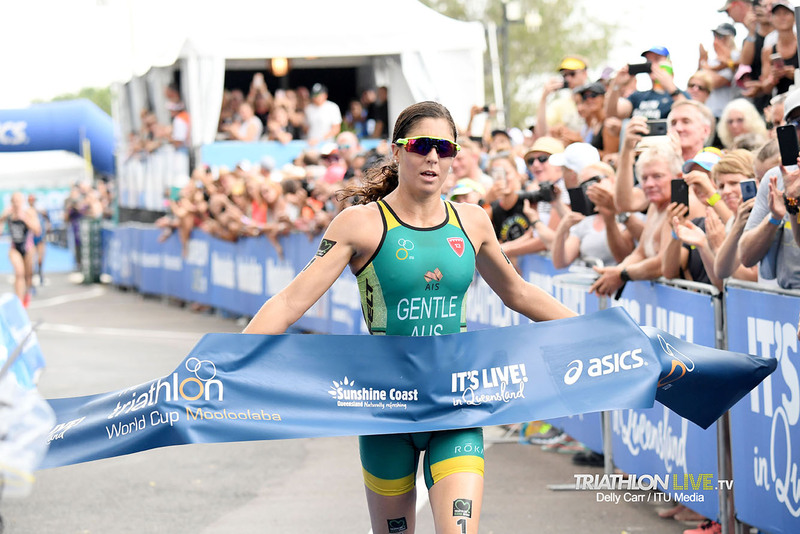 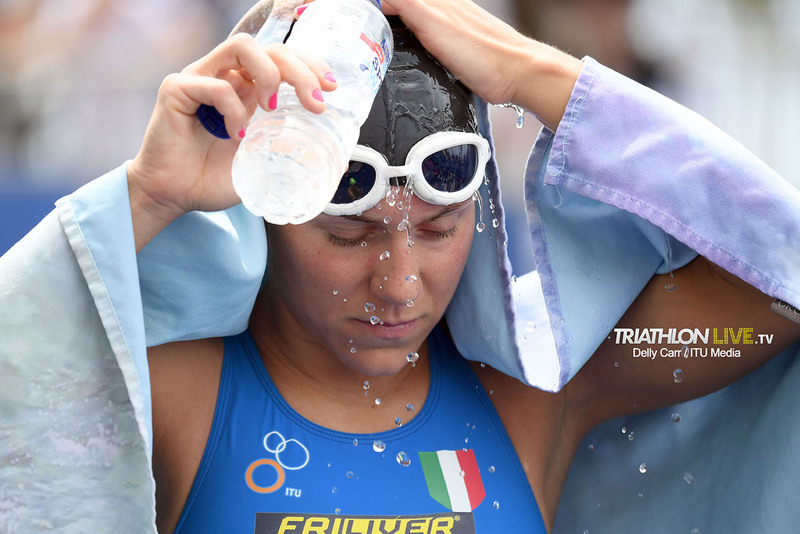 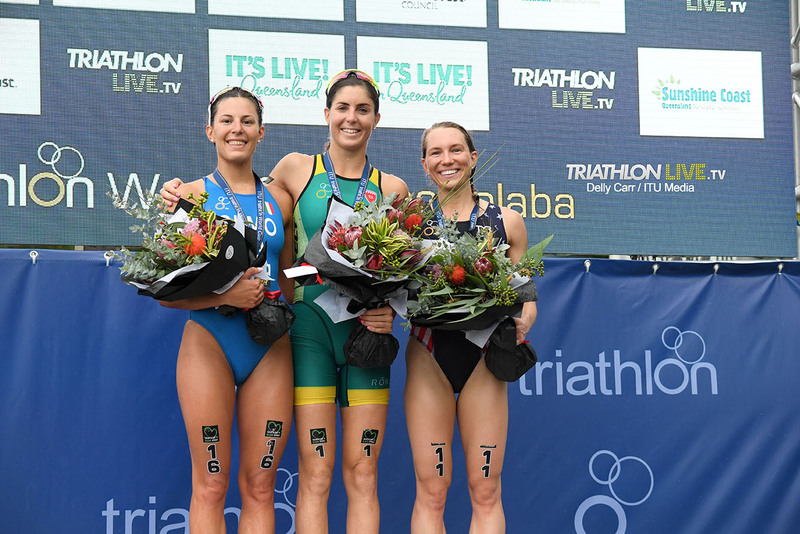 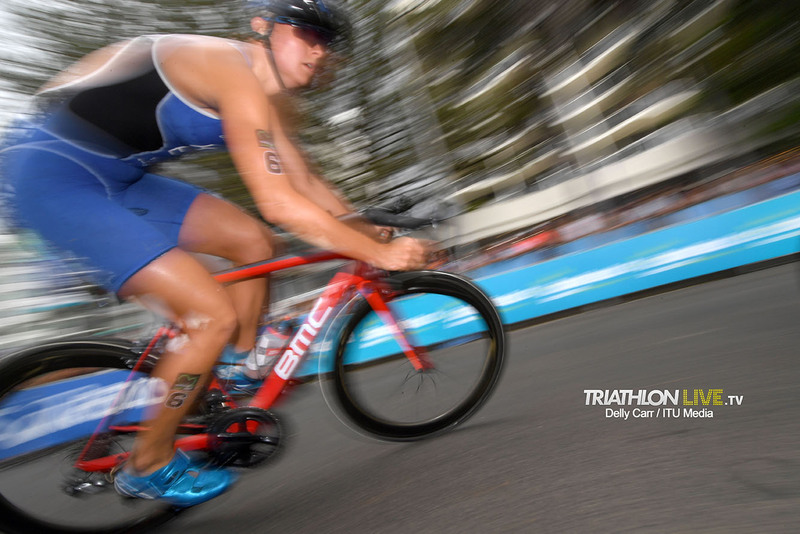 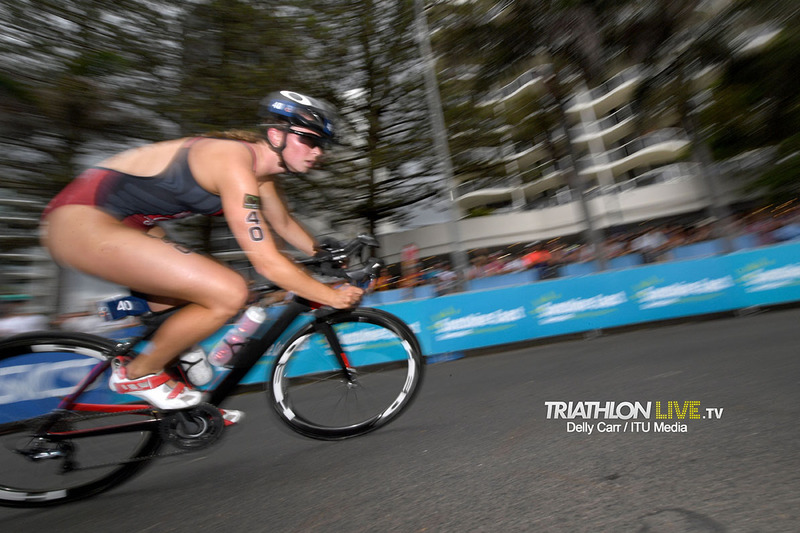 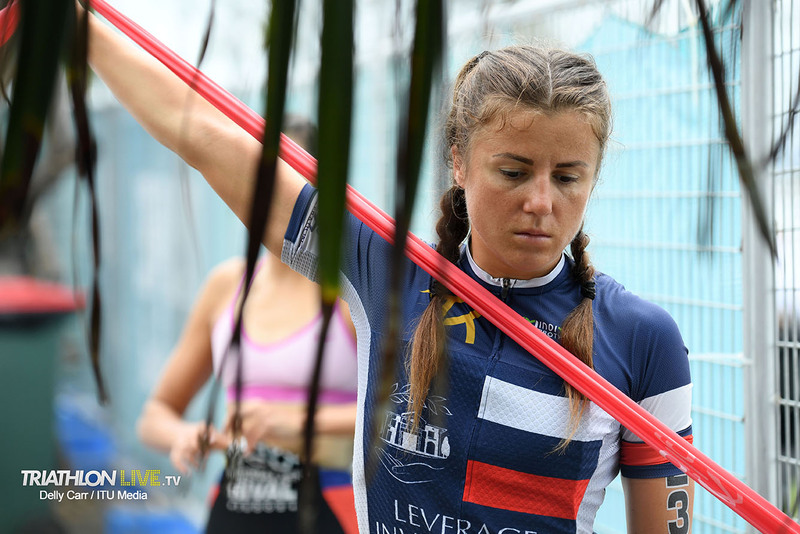 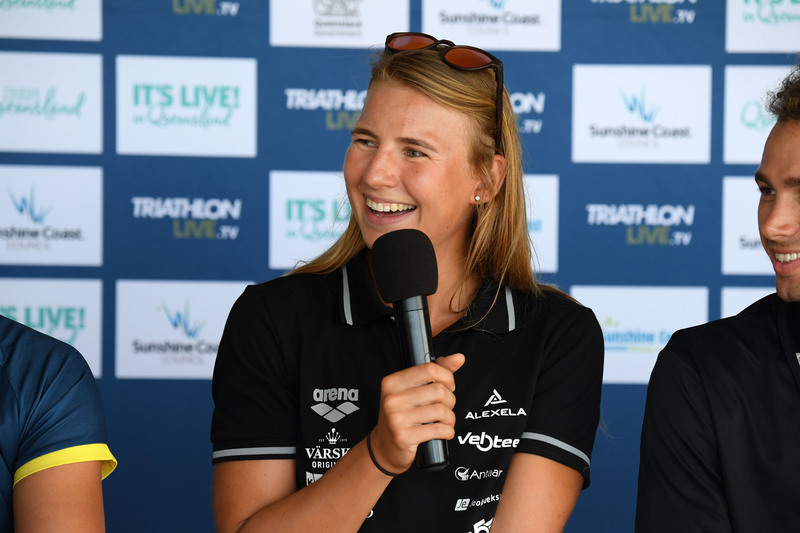 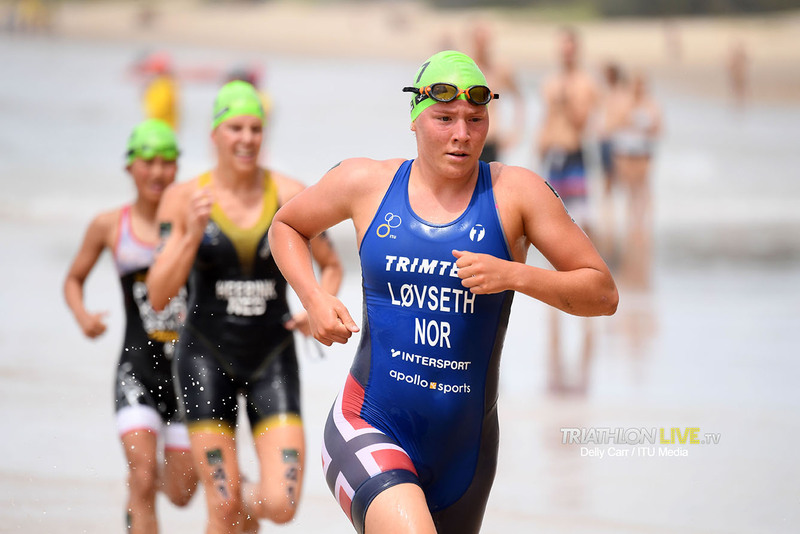 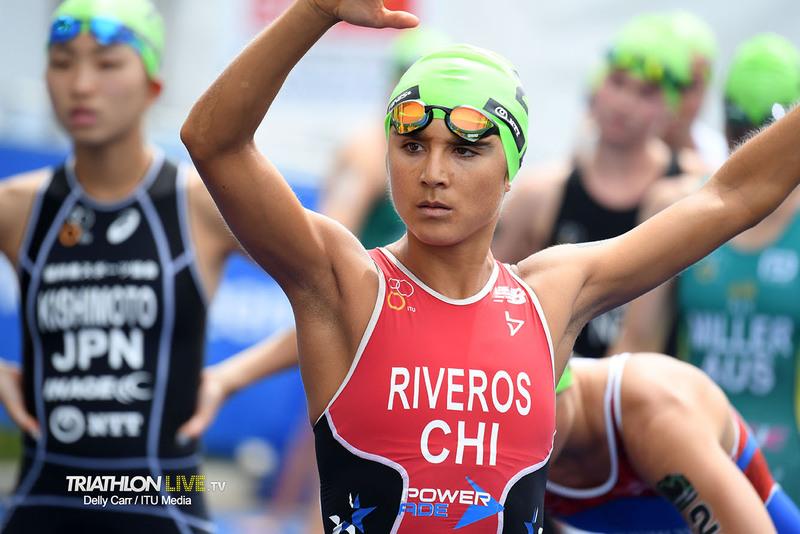 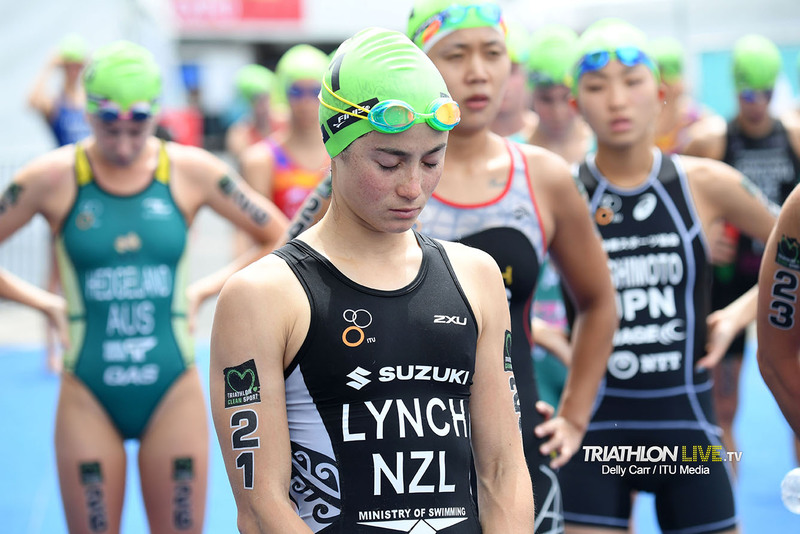 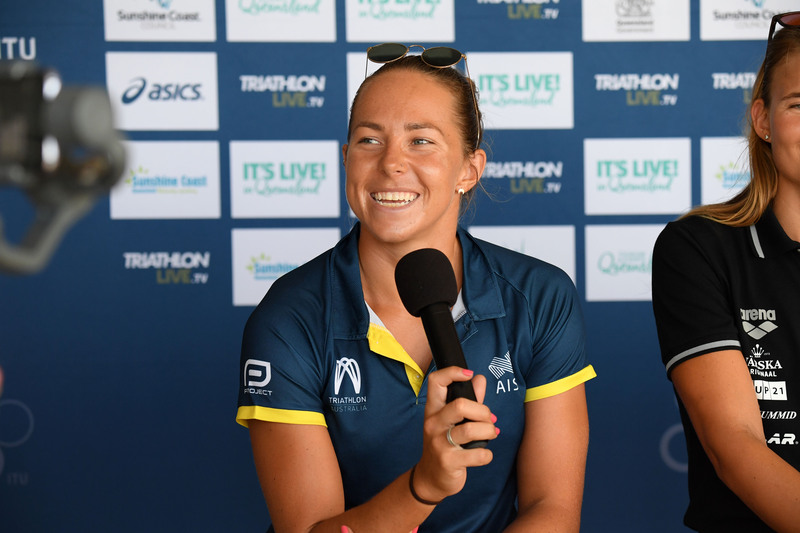 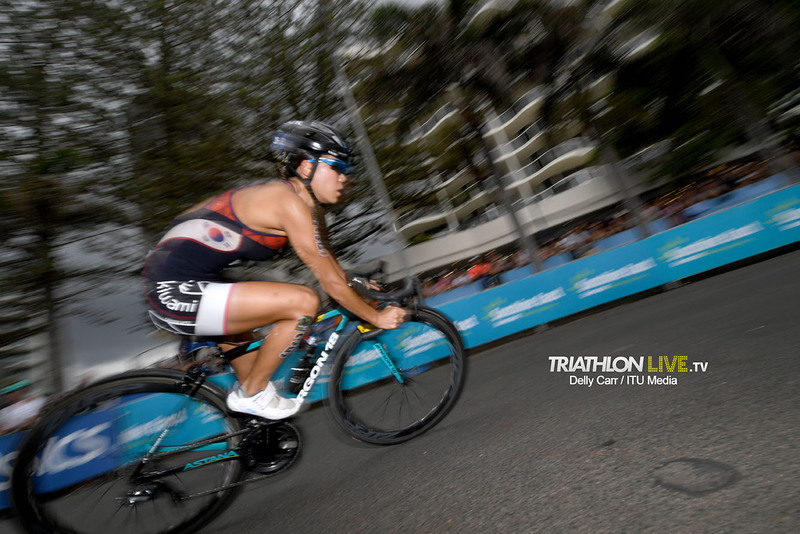 Results: 2019 Mooloolaba ITU Triathlon World Cup | Elite Women.